The Directors of the Trust are pleased to welcome Kathy Cox to the Management Board as volunteer and non-director. Kathy brings with her a broad range of skills and expertise which will be extremely useful, she will be a very active member and a great asset. Since the departure of Peter Lee from the Board of HTML, we have been looking for another volunteer to assist in the management of the Trust and this placement will help to fill the gap in the management left by Peter’s departure. The Trust are once again looking to support the Hollingbourne Fete on 8th June with the management of the car parking and also the Trust’s own marquee. The trust are working on how to make the marquee and presentation a little different and more interesting this year. The car parking takes up most of the day from setting up, managing and taking down at the end. In previous years this has worked very successfully and has received well deserved praise. The donations collected provide much needed funds. However, this task can be made easier if there are plenty of helpers. Anyone who wishes to help and can spare anything from one hour to the whole day, could you please contact Ben Williams to register your interest. A collecting tin has been in Christopher’s shop in Eyhorne Street for some time for customers to place any loose change. In the last quarter this tin collected £24.81 which compares to £33.20 in December and £25.05 in September. Thank you to all who have given. We look forward to your continued support. The busy spring and summer season has begun and as always, volunteers are needed to assist with the regular maintenance works, such as grass cutting, strimming and watering. If you would like to be involved in any of our future projects, then please contact Ben Williams who will inform you of when works are planned. Preliminary discussions are in progress to construct a bridge across the stream connecting Tilefields and Hasted Meadows (Picture below). The aim is for this bridge to be in keeping with the rural surroundings and will allow a feature to be made of the stream for the benefit of all. Further details will be forthcoming in later bulletins. There are still trees remaining from the Project 100 available for sponsorship. The only criteria for the sponsorship is that the tree is dedicated to someone in WW1. A post and plaque will be placed in front of the tree and a special webpage will be created for photos and a brief history or message about every combatant who has a tree. Clubs and organisations within the village might like to sponsor a tree in remembrance of a combatant on the memorial, who has not been sponsored by their family. Maidstone Borough Council is currently reviewing a list of sites, proposed by a range of people, which may have the potential to become Local Nature Reserves. 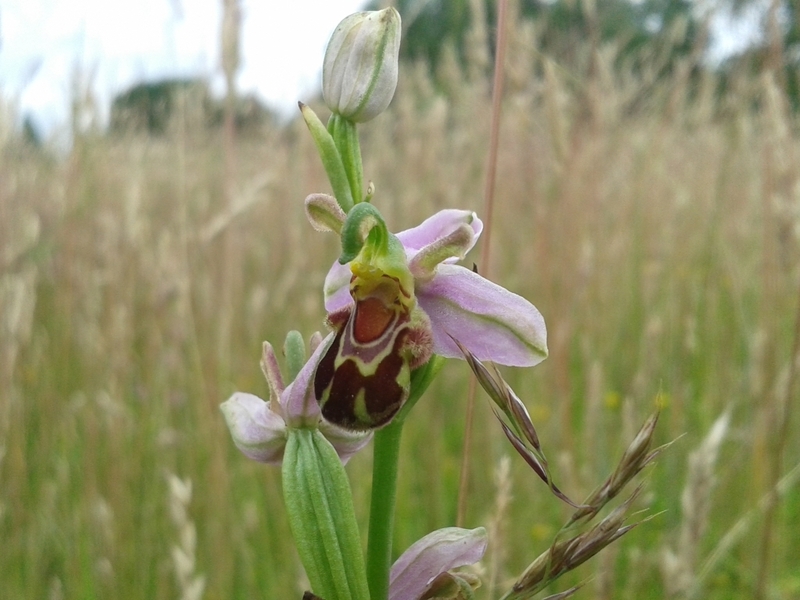 Hollingbourne Meadows Trust has been put forward as a potential new reserve. Maidstone Borough Council have commissioned a review of these proposed sites and to determine which of them has the potential to become a Local Nature Reserve. Local Nature Reserves are designated under section 21 of the National Parks and Access to the Countryside Act 1949. They are important locally for nature conservation, and may be managed for nature conservation alone, or may also provide facilities for public access and/or education. A local authority may declare a site a Local Nature Reserve if it meets a range of criteria relating to its nature conservation value and, if appropriate, its benefit for local people. The review that is being undertaken will assess the proposed sites against the range of criteria recommended by Natural England. The Board of Directors are currently exploring further the criteria required prior to assessing whether this is something which will benefit the Trust. If you have a view on this then please let us know through the website or direct to a member of the board of directors. The car parking takes up most of the day, from setting up the parking zones and managing the cars as they arrive, to clearing up at the end of play. In previous years this has worked very successfully and has received well deserved praise, and the donations collected provide much needed funds. However, this task can be made easier if there are plenty of helpers. Anyone who wishes to help and can spare anything from one hour to the whole day, could you please contact Ben Williams to register your interest. The Trust are still looking to recruit another volunteer to the HMTL who could spare a few hours per week to assist with fundraising, grant applications, minute taking, etc. If you are interested then please contact any member of the Trust’s Directors. 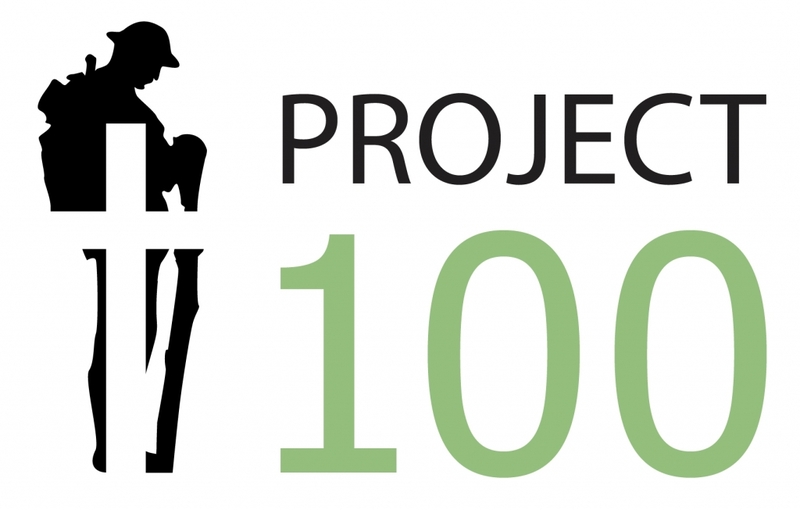 There is more on the Project 100 on our website along with the details of other projects. 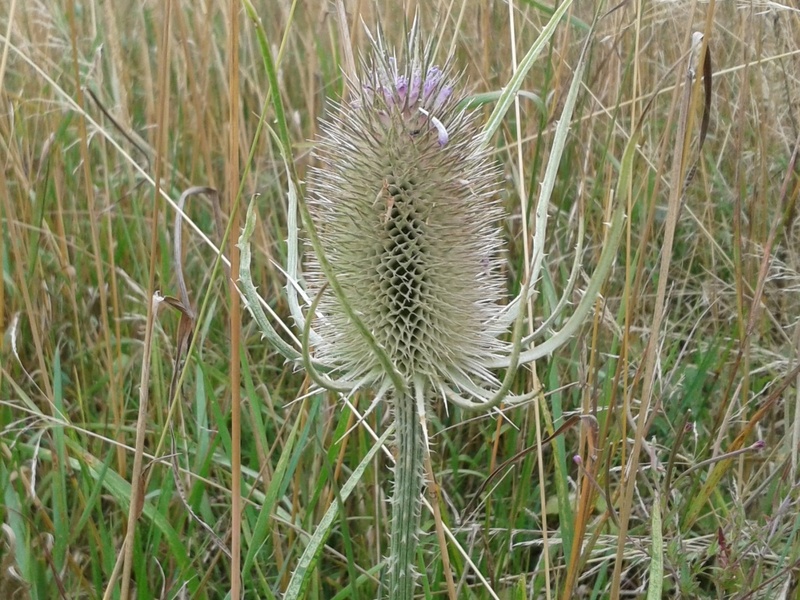 These can be found at www.hollingbournemeadowstrust.co.uk, or on Facebook at https://www.facebook.com/Project100HMTL/, and there is also a website where donations can be made at https://mydonate.bt.com/charities/hollingbournemeadowstrust. If you would like further details of the Meadows Trust or be a ‘Friend of the Meadows’ and would like to support this asset which is for the whole community, or if anyone is interested in sponsoring a tree which would make a great present for a loved one, then please visit www.hollingbournemeadowstrust.co.uk. I would like to cast your mind back to Sunday 11th November 2018 and the lighting of the beacon as part of the 100 year commemoration of the ending of World War 1. The beacon was made especially for the event by Ian Willy (Photographs above). 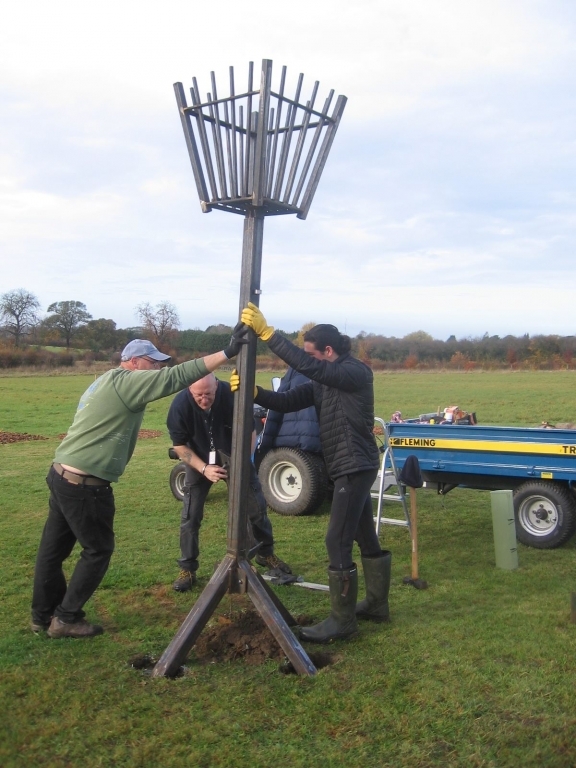 On the weeks leading up to the 11th November, there were discussions around the lighting of the beacon located in the grounds of Hollingbourne Primary School. However the thoughts of the Project 100 team were that it would be a good idea to have this symbol in the Avenue of Peace. The initial thought was to light a fire pit, but two weeks prior to the event, Ian had other ideas and suggested that a beacon could be made in the available time. With the agreement of the Project 100 team and support from his employer, Ian designed and built the beacon and delivered it in time for the big day. 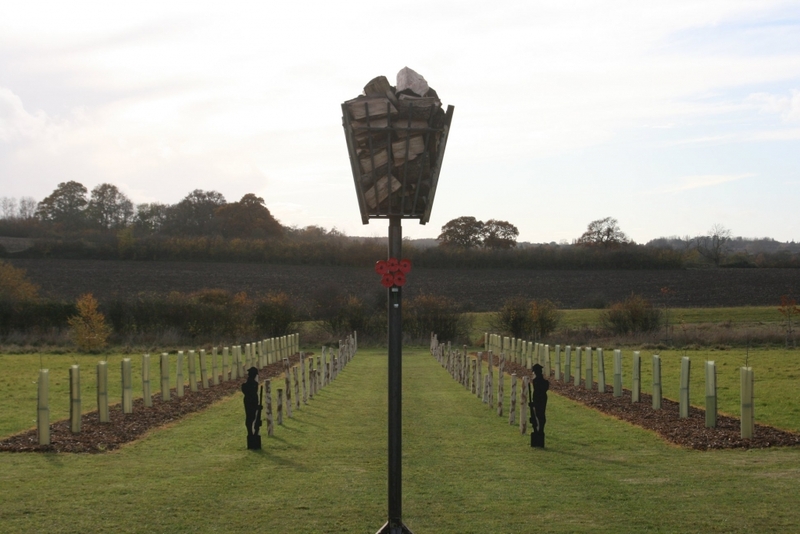 The beacon is approximately 8 feet high and weighs around 100 kgs. It is made from offcuts of steel that were destined for the scrap bin and is made in sections to facilitate transportation and erection. The whole structure has good proportions and was made without any plans or drawings. It has now been taken into store to protect it from the elements and keep it safe until it is next needed. Our thanks go to Ian for his efforts and contribution to the event and the beacon will be a lasting monument to his excellent fabrication skills. The Trust are looking to recruit another volunteer to the HTML who could spare a few hours per week to assist with fundraising, grant applications, minute taking , etc. If you are interested then please contact a member of the Trust Directors. 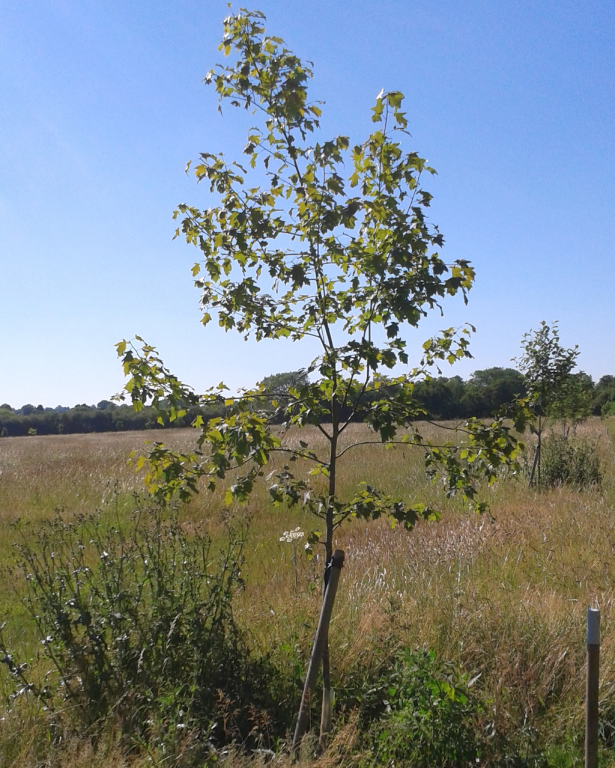 The remaining trees from the Project 100 are now available to a wider catchment area. The only criteria is that the tree is dedicated to someone in WW1. A post and plaque will be placed in front of the tree and a special webpage has been created for photos and a brief history or message about every combatant who has a tree. Clubs and organisations within the village might like to sponsor a tree in remembrance of a combatant on the memorial, who has not been sponsored by their family. Unfortunately there has been a spate of vandalism in the meadows with a number of plaques being damaged with one being completely removed. Please we ask all to be diligent and if you see anything suspicious then please pass on this information to a member of the Trust. On Boxing Day, Ben and Malcolm once again organised a walk around the meadows and the parish. 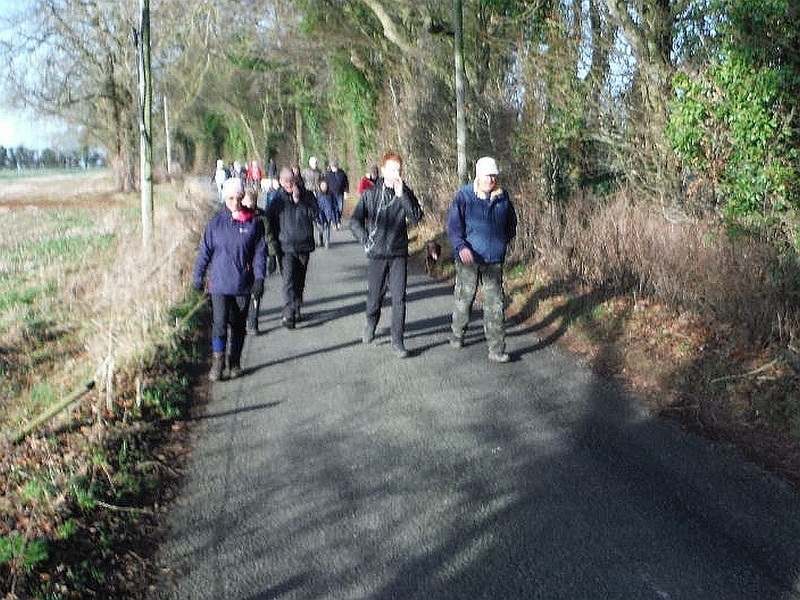 The weather was kind and 12 people enjoyed good company and two hours in the fresh air and rural surroundings. A photograph of most of the walkers is attached. There is more on the Project 100 on the HMTL website, on Facebook at and there is also a website where donations can be made: https://mydonate.bt.com/charities/hollingbournemeadowstrust. If you would like further details of the Meadows Trust, or be a ‘Friend of the Meadows’ and would like to support this asset which is for the whole community or if anyone is interested in sponsoring a tree which would make a great present for a loved one, then please visit www.hollingbournemeadowstrust.co.uk or any member of the Trust. Merry Christmas and A Happy New Year to all of the Trust’s supporters and volunteers without who we would not be able to function satisfactorily. I wish therefore to publicly thank all of those who have helped the trust over the past year, with financial assistance, physically with their time and effort, or both. The trust held the HMTL Annual General Meeting on Tuesday the 27th November 2018 in Hollingbourne’s Village Hall. It was great to see so many of the Trust supporters and volunteers. It was with sadness that Peter Lee (Pictured right)has decided to stand down both as a Director and as Company Secretary of the Trust after 14 years of total commitment and dedication. Peter was one of the Founding members of the Trust along with Ben Williams & Jim Findlay without whom the Trust would simply not exist today. Peter ensured that everything was in place and spent long hours behind the scenes in fund raising, bureaucratic wheeling and dealing, which over the years reaped prosperous and sustainable rewards. He was also a guiding light, morale beacon and a voice of wisdom and sound reasoning. Peter was an inspiration, a solid and constant standard for the Trust, rooted in pedigree, integrity and had a passion for the Trust. I would like to, on behalf of the Directors, Trustee’s and all the Members of The HMTL, offer our most heartfelt and sincere wishes for success in his next chapter of his life. I am confident no matter to what he turns his hand to or tackles next; it will be a success. You will be missed and you will leave a large void. With Peter stepping down we now have a vacancy, and we are looking to recruit another person to the Trust with a particular interest, or expertise in fundraising. If you are interested then please contact a member of the Trust Directors. We have had to relocate our Registered Office this month. If you wish to correspond with the Trust, our new postal address is: Cardwell Pavilion, Greenway Court Road, Hollingbourne, Maidstone, Kent, ME17 1QQ. Alternatively you can personally drop letters or correspondence into our new mail box at the Cardwell Pavilion (Pictured right). You can find this, clearly marked, attached to the wall to the left of the double doors. The box will be emptied daily. The first phase of the Project 100 has now been delivered, the second phase of seeking sponsorship for the trees continues. The first 43 of the Hawthorn trees of the 100 Avenue of Remembrance will be offered for sponsorship to the families of the WW1 fallen, depicted on the village memorial. The remaining 57 trees will be available to Hollingbourne residents to sponsor for £295. The Project 100 team felt it important to ensure the villagers had first refusal on the limited number of trees to honour their family heroes until the 31st December 2018, and thereafter the remaining trees will be made available to a wider catchment area. The only criteria is that the tree is dedicated to someone in WW1. A post and plaque will be placed in front of the tree and a special webpage will be created for photos and a brief history or message about every combatant who has a tree. Clubs and organisations within the village might like to sponsor a tree in remembrance of a combatant on the memorial, who has not been sponsored by their family. There is more on this project on the HMT website, www.hollingbournemeadowstrust.co.uk, on Facebook at https://www.facebook.com/Project100HMTL/ and there is also a website where donations can be made at https://mydonate.bt.com/charities/hollingbournemeadowstrust. The Meadows Trust 2019 Calendar which includes photographs contributed by residents, is now available and is on sale from either Christopher’s Shop, through our website, or directly from Peter Lee (phone 01622 880580). Cost is £5 hand delivered (and includes a protective envelope for posting), but for postal delivery elsewhere, the cost is £6 which includes postage in a strong cardboard envelope. 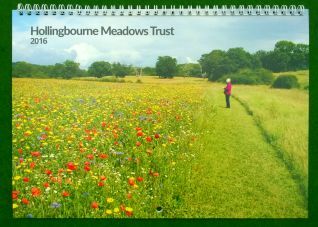 If you would like further details of the Meadows Trust or are interested in becoming a ‘Friend of the Meadows’ and would like to support this asset which is for the whole community, then please visit www.hollingbournemeadowstrust.co.uk, or contact any member of the Trust. The official opening and dedication of the Avenue of Remembrance and Circle of Peace by Rev. Paul Kite took place on Sunday 11th November 2018 at 2:00 pm. After Shaun Cardwell welcomed the guests and visitors on behalf of the Trust, Richard Cast, Chairman for the Royal British Legion in Kent gave an exhortation. This was followed by the Last Post and a One Minutes Silence. Pictured right is an aerial drone view of the Avenue of Remembrance just after the official opening. Photograph courtesy of Joshua Gray. His Worship the Mayor of Maidstone, David Naghi gave an address and Helen Whately MP for Faversham and Mid-Kent opened the Avenue of Remembrance by cutting a ribbon with a pair of hedge shears. Also in attendance were Tim Steel (Deputy Lieutenant of Kent), Shellina Prendergast, (KCC Member for Maidstone Rural East), Patrik Garten, (Maidstone Member for North Downs Ward), and Mrs Helen Bradley-Wyatt (Head of Hollingbourne Primary School). Mrs Wyatt was accompanied by a number of children from the school who read out the names of those from Hollingbourne who lost their lives in the 1914 - 18 war. The reading by the children was very professional and a credit to both school and their parents. The event was very well supported and with estimates in the region of well in excess of 200 people who made the effort to attend the event which was held in a beautiful sunny autumn day. The picture right was taken just before the grand opening (Photograph courtesy of Catherine Brown). The trust were grateful for all the volunteers who through their hard work made the event a success. And particular thanks must go to Ivor Tapsfield who set up, maintained and provided the public address system. Thanks must also go to the Hollingbourne W.I. who provided a delicious range of cakes, biscuits and great cups of tea, coffee and soft drinks. They also served a good range of wines provided by the HMTL. The first 43 of the Hawthorn trees of the 100 Avenue of Remembrance will be offered for sponsorship to the families of the WW1 fallen, depicted on the village memorial. The remaining 57 trees will be available to Hollingbourne residents to sponsor for £295. The P100 team felt it important to ensure the villagers had first refusal on the limited number of trees to honour their family heroes. This will be for a limited time period, until the 31st December 2018, and thereafter the remaining trees will be made available to a wider catchment area. The only criteria is that the tree is dedicated to someone in WW1. A post and plaque will be placed in front of the tree and a special webpage will be created for photos and a brief history or message about every combatant who has a tree. Clubs and organisations within the village might like to sponsor a tree in remembrance of a combatant on the memorial, who has not been sponsored by their family. Rita Moon, RBI Branch member is trying to track down families of the 43 WW1 combatants on our war memorial, in order to bring to their attention that they can purchase a tree in remembrance of long lost family member. 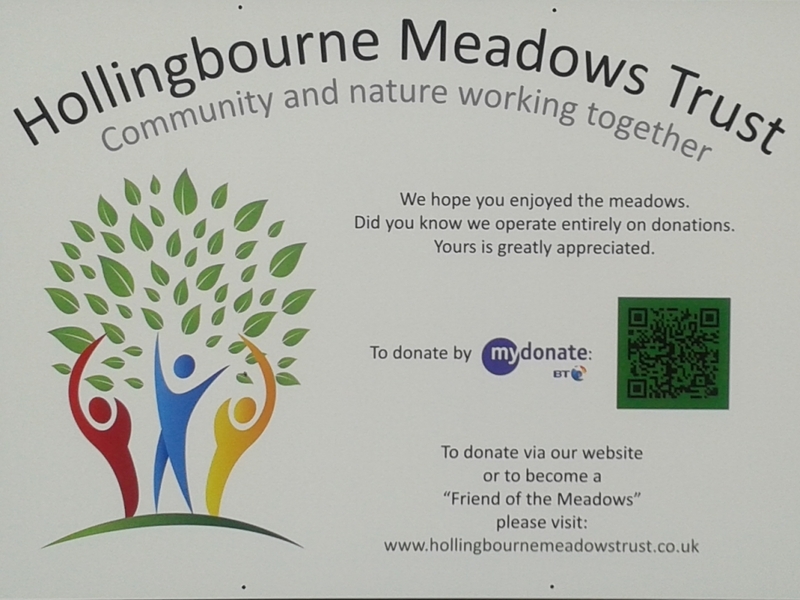 There is more on this project on the HMTL website, www.hollingbournemeadowstrust.co.uk, on Facebook at https://www.facebook.com/Project100HMTL/ and there is also a website where donations can be made at https://mydonate.bt.com/charities/hollingbournemeadowstrust. If you would like further details of the Meadows Trust or be a ‘Friend of the Meadows’ and would like to support this asset which is for the whole community or if anyone is interested in sponsoring a tree which would make a great present for a loved one, then please visit www.hollingbournemeadowstrust.co.uk, or contact any member of the Trust. The trust are holding their Annual General Meeting on Tuesday the 27th November 2018 commencing at 7:00 pm in Hollingbourne Village Hall. It is hoped that as many of you as possible will be able to attend and contribute to the event. Please make a note in your diary, and as last year, light refreshments will be available during the evening. The planting of the trees for the Project 100 is well advanced and by the time this is read it should be completed. When you are in Culpeper Meadow please go and take a look! The progress has only been made possible through the dedication of the Project 100 team and the army of volunteers to whom we are indebted. These include Bob Young who dug the holes for the trees with his excavator, Nigel Davison for supplying the stakes and Linda Cardwell for providing the bountiful supply of refreshments to keep the troops fuelled, and Jean Davidson for providing refreshments at the numerous planning meetings. Others who helped Ben with the planting are: Mike Sharpington, Ian & Liz Willy, Allan Smedley, Brian Revell, Peter Gough, Owen & Keenan Gough, Mary Henderson, Janice Butler, Malcolm Smith, Derek Davidson, and Shaun Cardwell. On the Saturday 6th October, children from Hollingbourne Primary School (Pictured right) were invited along to help with the planting and around 21 children turned up. They were accompanied by the Head teacher, Helen Bradley-Wyatt. The Rev. Paul Kite and his family also lent a hand. The P100 team felt it important to ensure the villagers had first refusal on the limited number of trees to honour their family heroes. This will be for a limited time period, until the 31st December 2018, thereafter the remaining trees will be made available to a wider catchment area. The only criteria is that the tree is dedicated to a relative engaged in WW1. A post and plaque will be placed in front of the tree and a special webpage will be created for photos and a brief history or message about every combatant who has a tree. Clubs and organisations within the village might like to sponsor a tree in remembrance of a combatant on the memorial, who has not been sponsored by their family. Rita Moon, RBI Branch member is trying to track down families of the 43 WW1 combatants on our war memorial, in order to bring to their attention that they can sponsor a tree in remembrance of a long lost family member. An official opening and dedication of the Hawthorn trees and Circle of Peace by Rev. Paul Kite is planned for Sunday 11th November 2018 at 2:00pm. The Mayor of Maidstone, will be attending on the 11th as will Helen Whately MP. It would be great if the entire village could show up to support the event. Refreshments will be available along with shelter underneath gazebos should the weather be inclement. If you would like further details of the Meadows Trust or be a ‘Friend of the Meadows’ and would like to support this asset which is for the whole community or if anyone is interested in sponsoring a tree which would make a great present for a loved one, then please visit www.hollingbournemeadowstrust.co.uk, or contact Peter Lee on 01622 880580. 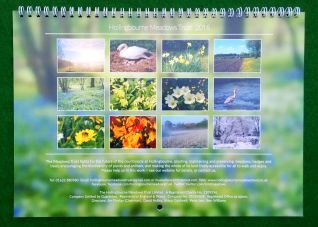 As Christmas and the start of a new year is approaching quickly, thoughts have been given to the 2019 Meadows Trust Calendar. The Trust would be delighted to receive photographs from all budding amateur photographers for possible inclusion. There are no prizes for the final twelve chosen pictures, however successful contributors will receive 3 calendars if their photograph is selected. The photographs need to be in landscape format, in colour and of excellent resolution to enable them to be enlarged to A4 size. Ideally (but not necessarily) the photos should have a “nature” or "outdoors" theme. The photographs should be sent to musketlane@btinternet.com in ideally jpg format to enable transmission to the printers. The deadline for entries is Midnight on Sunday 14th October 2018. 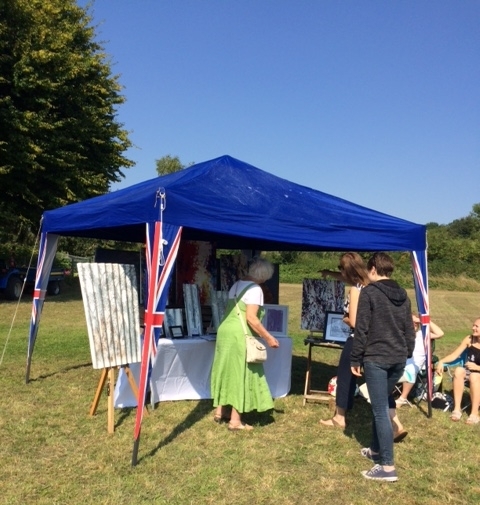 Excellent weather attracted a large number of visitors to the Hollingbourne Outdoor Art Festival which was held in Tilefields Meadow on the afternoon of Sunday 2nd September 2018. After expenses were paid approximately £200 was raised for the HMTL and our thanks go to the exhibitors, visitors, helpers and especially to Lynn and Glenn Bryan. Please see pictures above. Additional photographs of the day are available on the Hollingbourne Parish Council website. Preparation is now well under way for the planting of the trees for the Project 100, and information leaflets have been distributed to properties in the parish. While the Trust awaits delivery of materials (Hawthorn trees for The Avenue of Remembrance, and Hornbeam trees for the Circle of Peace), Ben Williams has been busy setting and marking out the positions of the trees. When you are in Culpeper Meadow go and have a look at the layout. The aim is to start planting late in September, and while an excavator will be used to dig the holes, volunteers are still required to assist with the soil preparation, preparing the soil with compost and bone meal ready for planting. Anyone who wishes to help then please contact Ben Williams on 07968 123165 or via the HMTL website, so that Ben can take note of your details and keep you informed of the plans and progress. The Avenue of Remembrance trees are now being offered for sponsorship, the details of which are in the distributed leaflets and will also shortly be available on our website. An official opening and dedication of the Hawthorn trees and Circle of Peace by Rev. Paul Kite is planned for 11th November 2018 at 2:00pm. The very warm and dry summer has created issues for the Meadows Trust along with many farmers and gardeners. Rainfall has been in very short supply and the very high temperatures have resulted in a number of Celebration trees showing signs of distress. 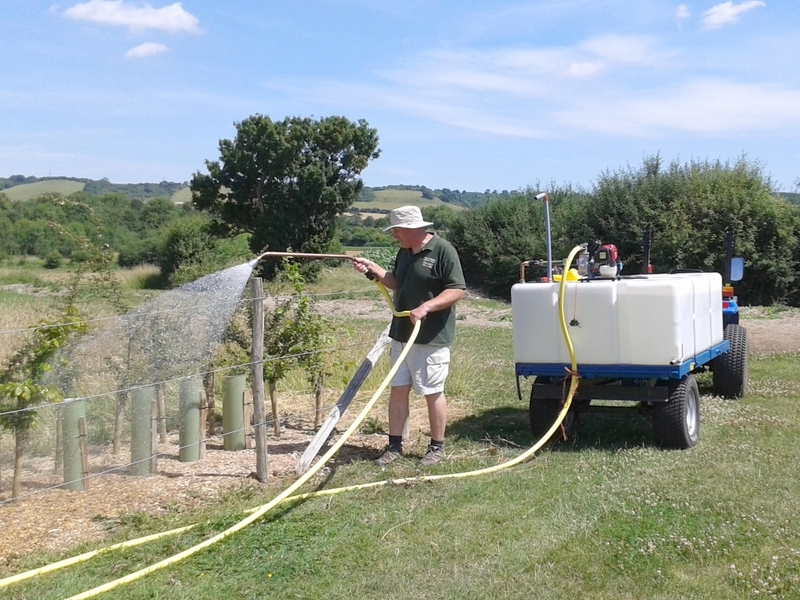 This resulted in each of the trees being given an emergency watering of around 1000 litres of water. 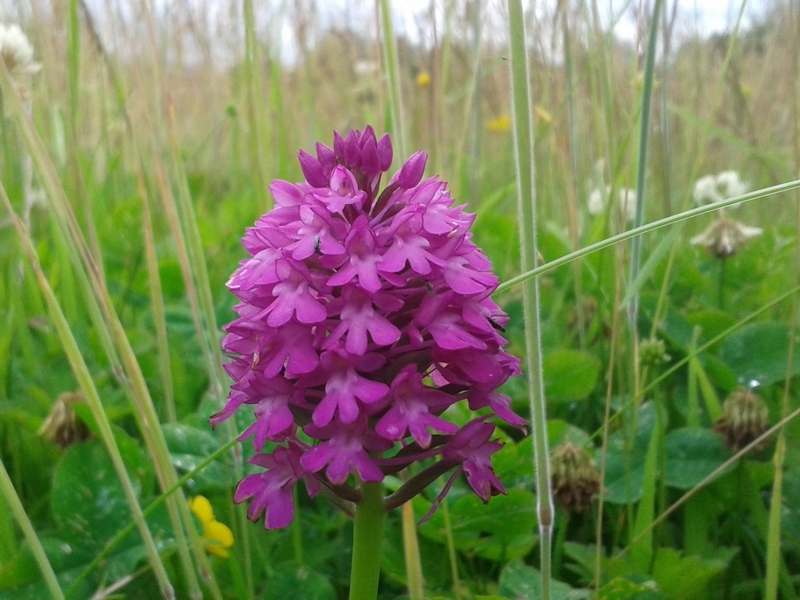 As this article is written, Culpeper Meadow has been cut for hay which was delayed to enable the wild flowers including the orchids to set seed. 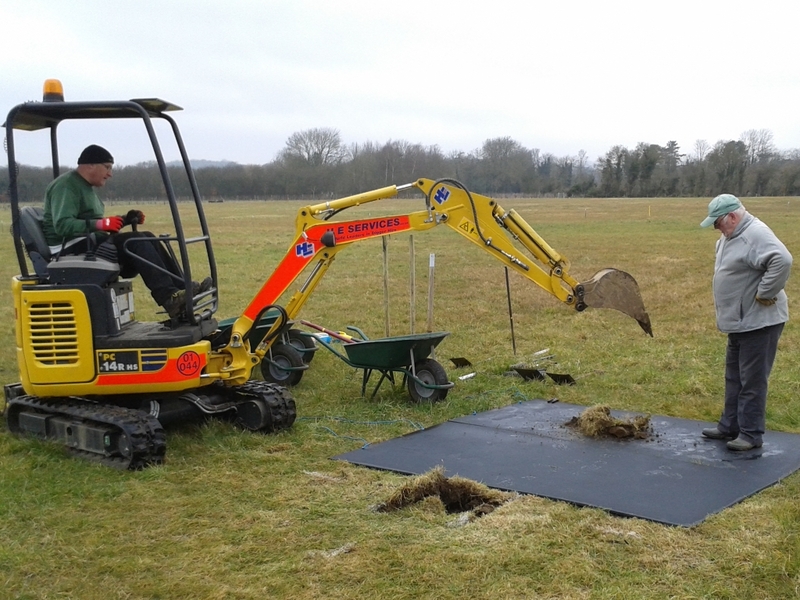 This will allow the continued growing of these plants which form an important part of the meadows bio diversity. In July, an off-road dirt bike was seen being ridden through the Meadows. The bike was spotted coming from the direction of Windmill Meadow down the track into Flower Meadow, before heading off in the direction of the north east corner of Culpeper Meadow. Unfortunately the bike was ridden off Trust land before the rider could be challenged. I need to remind everyone that motorcycles are not permitted in the Meadows. It is important that we all, residents as well as walkers, keep vigilant as this sort of behaviour, if repeated, could result in injury to walkers and dogs that enjoy the peace and tranquillity of the meadows. Information on any offenders can be provided to any of the Meadows Trust in strictest confidence. The Hollingbourne Outdoor Art Festival is to be held in Tilefields Meadows on Saturday 2nd September 2018 between 2:00 pm and 5:00 pm. Entry will be free and there will also be free car parking. In addition there will be refreshments and food available. At the Trust Board meeting on Monday 23rd July it was decided to proceed with the P100 (Avenue of Remembrance) project. Sufficient funds have been secured to commence the planting this autumn, but further funds are still required to see this project through to its conclusion. In order to make the Project a success and inclusive for all of the village, volunteers are required to help with all aspects of the project. We will need people to assist with the planting, from digging holes to the planting and securing of the trees. Support will be most welcome for less arduous tasks such as moving lighter materials and providing refreshments. There will be a great deal to do and something for those of all ages and abilities. We would ask that anyone who is interested in helping in whatever way, please contact Ben Williams so that he can take note of your details and keep you informed of the plans and progress. There is more on this project on the HMTL website, www.hollingbournemeadowstrust.co.uk, on Facebook. And there is also a website where donations can be made. If you would like further details of the Meadows Trust or be a ‘Friend of the Meadows’ and would like to support this asset which is for the whole community, then please visit our website, or contact Peter Lee on 01622 880580. The long and hot weather has curtailed a lot of work in the Meadows. In June, hay was cut, bailed and collected in all but Culpeper Meadow. It was decided to leave hay making in Culpeper Meadow until late July, so that the wild flowers (including Bee [Ophrys apifera] and Pyramidal [Anacamptis pyramidalis] orchids) could finish flowering and lay down seed. 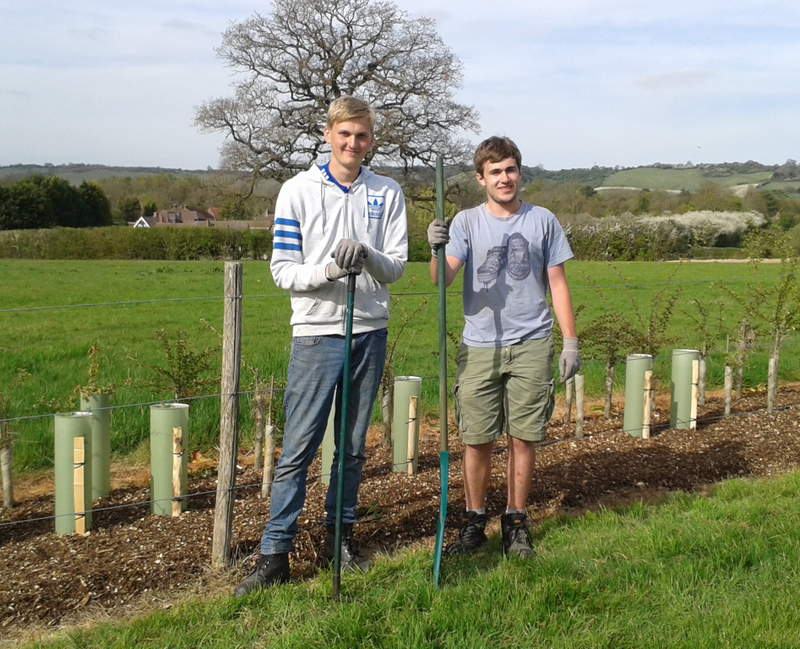 Three work experience students from Hadlow College joined us in early July. Despite the very hot weather they still succeeded in mulching all 600 trees in Windmill Coppice. Nathan and Ewan are pictured above, proudly standing in front of their handy work. As you will recall, last September a successful art afternoon was held in Broad Street festival with the proceeds being donated to HTML. Plans are now in place to hold another event but this year it will be held in the Meadows. 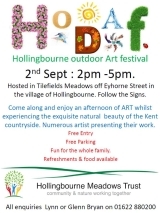 The Hollingbourne Outdoor Art Festival will be held in Tilefields Meadows on Saturday 2nd September 2018 between 2:00 pm and 5:00 pm. Entry will be free and there will also be free car parking. In addition there will be refreshments and food available.Should you wish to exhibit, take part or help with the organisation, then please contact Lynn and Glenn Bryan on 01622 880200. The fund raising is progressing well for the Project 100, the joint HTML and Leeds, Hollingbourne & District Branch of the Royal British Legion, with donations promised and some received from a variety of individuals, organisations and companies. A report in the Kent Messenger can be viewed (Courtesy of Pressreader) here, or alternatively via PDF. Any funds raised over and above those required for the project will be shared equally between HTML and LH&DRBL. Shoppers at the Tesco store in Grove Green have been voting for Project 100 and at the time of writing, the voting is still open and all you need to do is to ask for a token when you pay for your shopping and drop the token into the correct hopper as you leave the store. Voting is also available at a number of other Tesco stores in the county. We are hopeful that sufficient funds will be available to begin the planting this autumn. However this is only the start of the project and more funding is still required to see the project through to completion and ensure that this is a long lasting project for which everyone will be proud. The decision to proceed will be discussed at the Trust's Board meeting on Monday 23rd July. The aim will be to purchase the trees and carry out their planting in September / October this year. There is more on this project on the HMT website, www.hollingbournemeadowstrust.co.uk, on Facebook at https://www.facebook.com/Project100HMTL/. 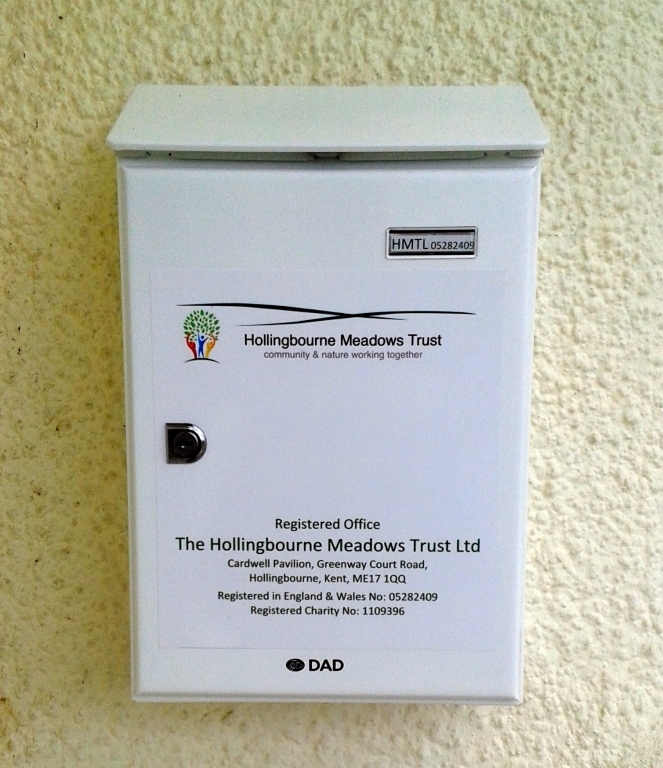 And there is also a website where donations can be made at https://mydonate.bt.com/charities/hollingbournemeadowstrust. 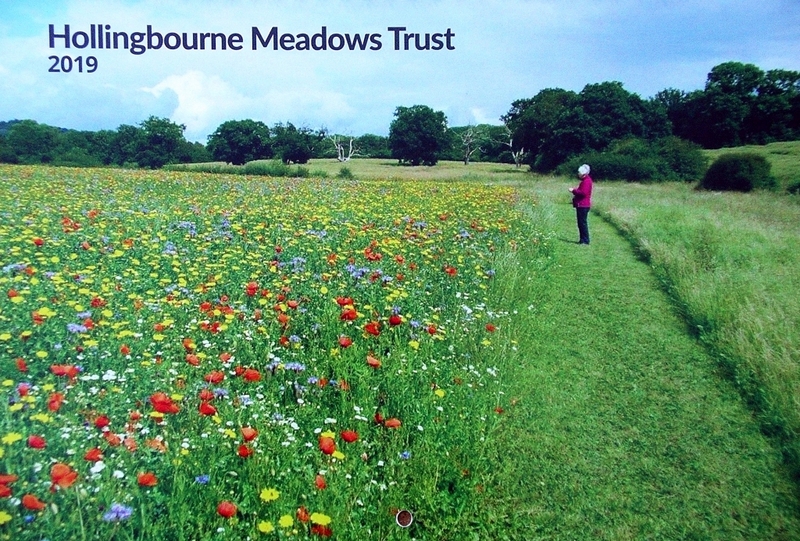 If you would like further details of the Meadows Trust or be a ‘Friend of the Meadows’ and would like to support this asset which is for the whole community, then please visit www.hollingbournemeadowstrust.co.uk or contact Peter Lee on 01622 880580. 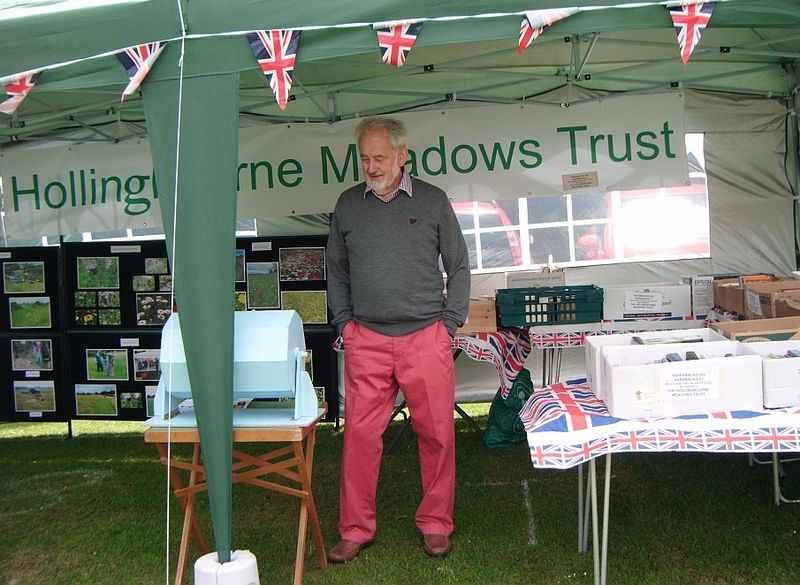 Once again the Meadows Trust were present at Hollingbourne Fete on Saturday 9th June with the HMTL Marquee, with the Trust’s volunteers also helping to manage the car parking. In the marquee visitors were able to see details of the Trust‘s work including the land that is owned and managed and our plans in the short to medium term. Peter and Maureen Lee were on hand to answer any questions and to provide guidance and information. A raffle was held with two prizes of a balloon flights for two people. The Balloon Basket & Burner were on loan from Flying Adverts with the kind permission of Glen Everett. 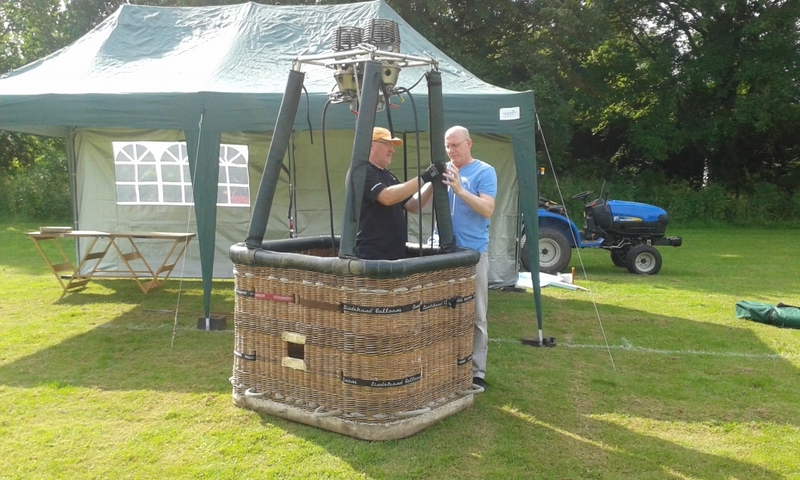 Pictured (Left) is Ben and Ian setting up the basket, and (Right) how it looked ready for the fete. A number of members and supporters of the Trust were busy over the week-end setting up and taking down the marquee as well as helping to manage the car parking. Our thanks go to Allan Smedley, Andrew Deacon, Cat Brown, Ivor Tapsfield, Ian Willy, Malcolm Smith, Shaun Cardwell, Dave Clements and Ben Williams. We were pleased that many called in and said hello and show their appreciation for the Trust’s work. All in all the day at the Fete was both successful and rewarding! The Parking Team collected £221 in donation and the raffle raised £116 while a collection tin in Christopher’s shop raised £27. These figures do not include gift aid which is collected where applicable, so more than £400 was raised in total. Additionally a number of the remaining trees have now been sold. As I write the very last tree has just been reserved, so currently there are no more trees available for sponsorship. If and when further planting schemes occur, the tree availability will be published on our website. Thank you to those people who showed interest in volunteering to help with P100 and future projects. If you are interested in becoming a “Meadows Mate” and spending time in the fresh air helping in the Meadows then please contact Ben Williams on 07968 123 165. The HMTL / RBL Project 100 – Avenue of Remembrance has been awarded a funding grant of £9,990 by the National Lottery Awards for All (The Big lottery Fund). This is a significant award and provides a noticeable increase in the funding for the project. Shoppers at the Tesco store in Grove Green can now vote for the HMTL/RBL Project 100. All you need to do is to ask for a token when you pay for your shopping and drop the token into the correct hopper as you leave the store. The leylandii trees that had snapped in the winter storms and toppled into Hasted Meadow partially blocking the footpath have been sawn up and disposed of. This work was carried out with the help of two work experience students, Nathan and Martin from Hadlow College. The two students also helped with the clearance of the old rotten bridge that used to cross the culvert between Tilefield and Culpeper Meadows. The area is currently roped off to allow time for newly sown grass seed to establish. Meadows volunteers led by Ben Williams, litter picked the entrance to the village and along the A20 between the two roundabouts. 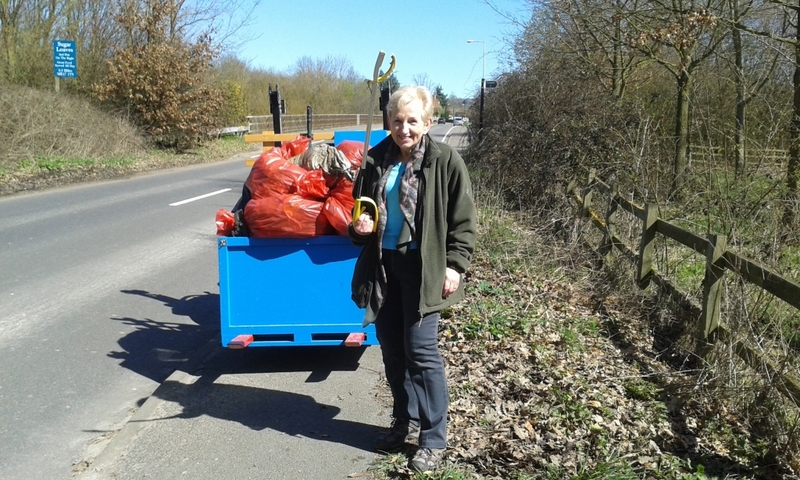 In all nine bags of rubbish were collected. Pictured is Adriana with her litter picker. For the last five years the Meadows have been enrolled in the Entry Level Stewardship scheme (ELS) run by Natural England as part of Defra. This is now ending and the Meadows will be transitioning to Mid Tier Countryside Stewardship in 2019. It is vital that the Meadows users stick to the mown footpaths and don't walk through the Long Grass Habitats or use the Log Piles as a supply of dog sticks. The payments we receive which help to maintain the Meadows will be withheld if we can't manage these habitats to the agreed standard, therefore we need your help to encourage all users to respect the Habitats. Once again the Meadows Trust will be managing the car parking at the Fete on 9th June and we will also have the HMTL marquee where you will be able to see our plans. We look forward to seeing you all and please call in and say hello and let us know your views on the Meadows. Shoppers at the Tesco store in Grove Green can now vote for the HMTL/ RBL Project 100. All you need to do is to ask for a token when you pay for your shopping and drop the token into the correct hopper as you leave the store. While the planting for the joint HMTL / RBL Project 100 – Avenue of Remembrance is only a few months away, we would ask that anyone who is interested in helping in whatever way, please contact Ben Williams on 07968 123165 or via the HMTL website, so that Ben can take note of your details and keep you informed of the plans and progress. The warmer and slightly drier weather has finally heralded the start of the grass cutting season. All the footpaths have now had their first mowing. 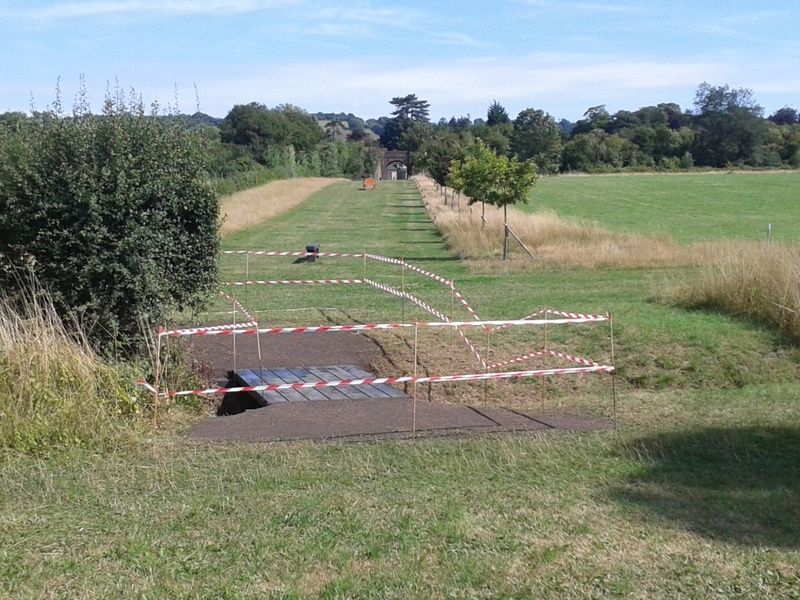 Look out for the two new routes which have been cut through the centre of Flower Meadow. Those who normally walk around Culpeper Meadow would have noticed a four metre strip cut down the centre. This is in preparation for Project P100’s (Avenue of Remembrance) main central footpath. The strip has been direct drilled with a mixture of robust grass seeds; 40% Amenity Ryegrass, 20% Creeping Ryegrass, 20% Strong Fescue, 10% Sheep’s Fescue and 10% Meadow grass. Until this establishes this area has also been roped off. It would be appreciated if you could temporally refrain from walking on this newly sown area until the ropes have been removed. Pictured is Ben checking the seed hopper before commencement of drilling. Throughout the summer there will be plenty more work carried out on the project as well as the regular Meadows maintenance. If you would like to help and be part of this memorable Avenue of Remembrance venture, then please contact Ben Williams on: 07968 123 165, or via the Trust’s email: hollingbournemeadowstrust@gmail.com. 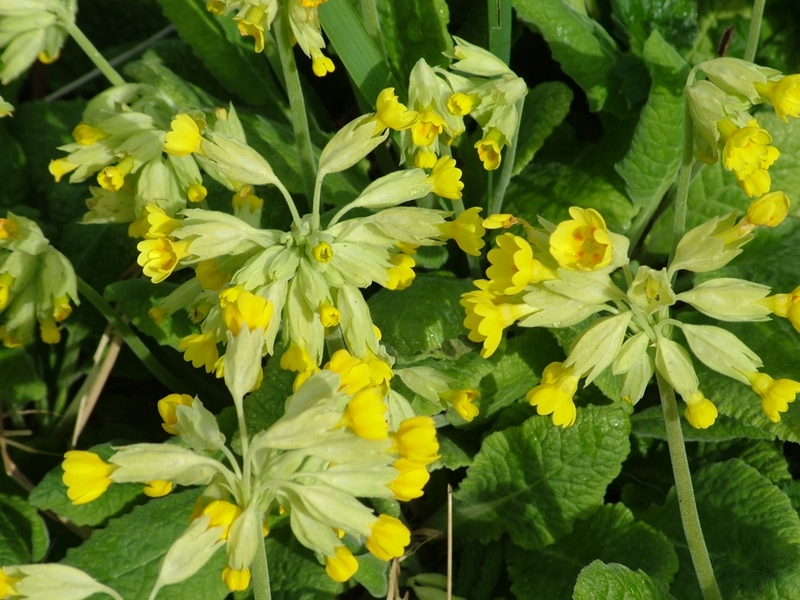 In my March Parish Magazine article I was hopeful that there would be signs of spring with some of the early flowers and leaves appearing. However, I had not predicted the Beast from the East with its strong bitterly cold easterly winds and the heavy snow showers that accompanied it. 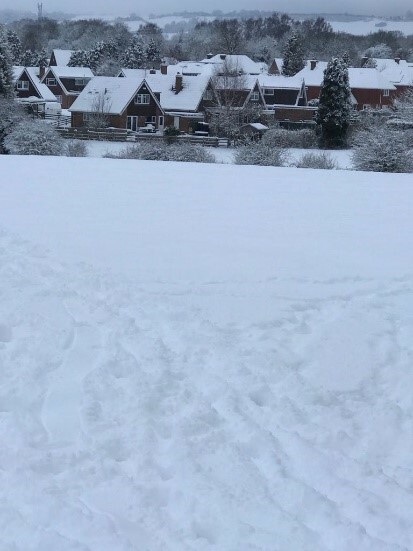 This then met storm Emma which came up from the south bringing more snow particularly to parts of the South West, the amount of snow had not been seen for many years. 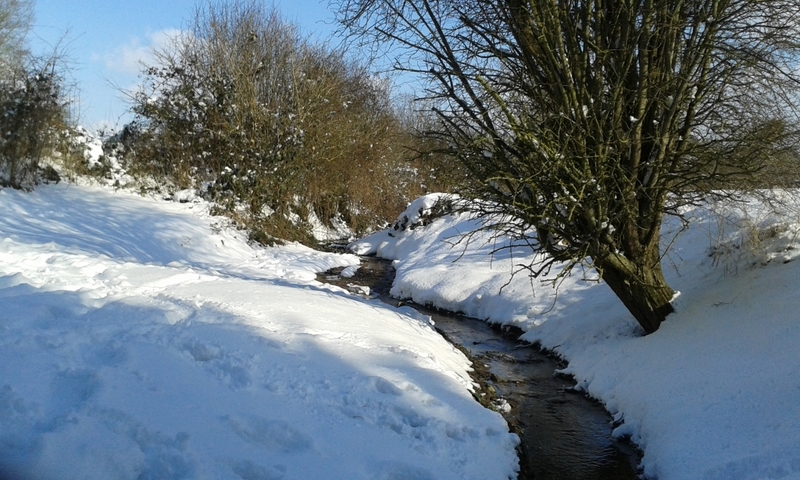 The snow this year was unusually dry and powdery and apart from the disruption to normal life, provided some very picturesque scenes. 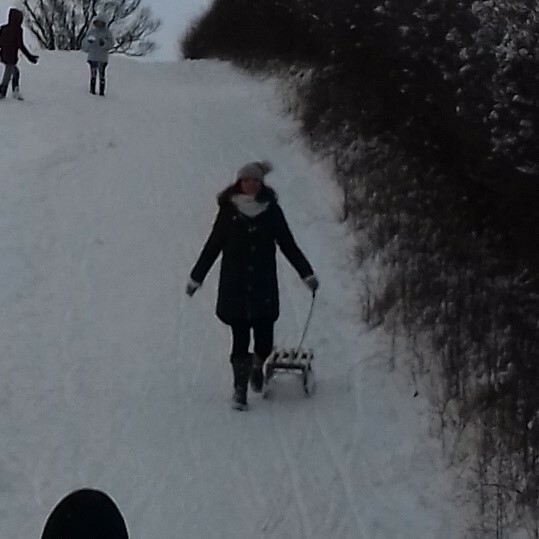 I saw plenty of children who were unable to attend schools as most were closed, enjoying sledging on the snow in the meadows. If any of our readers were out and about during the snow and managed to take photographs, then I would ask that you please send these to Peter Lee (email address: hollingbournemeadowstrust@gmail.com) as these could be included in a future Meadows Trust Calendar for which you will receive recognition if used. 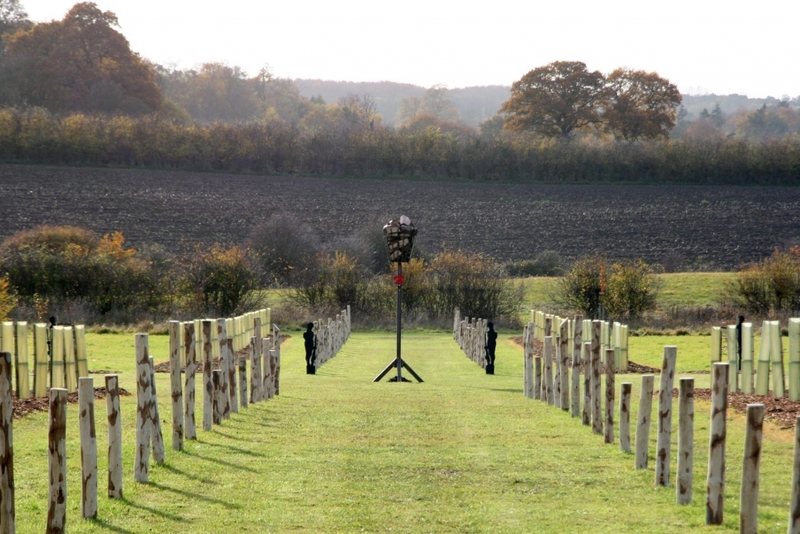 As you are probably aware, the HMT has teamed up with Leeds Hollingbourne & District Branch of the Royal British Legion with the aim of creating an Avenue of Remembrance to commemorate the 100 year anniversary of the ending of the First World War in 1918. The plan is to plant 100 Hawthorn trees in the meadows under the Project 100 banner. These trees will be planted in 4 rows of 25 trees to provide an avenue on the upper and lower approaches to the proposed ‘Circle of Peace’. The Circle of Peace will consist of 12 larger trees, the type of which are currently being discussed by the Steering Committee, and these will represent the 12 months of the year and the 12 years since the Trust was formed. Funds are being raised for this project and donations are welcome from individuals, organisations and companies. Once sufficient funds are raised which will cover the actual project, it has been agreed that any amounts over and above the project costs would be shared equally between HMT and the Leeds Hollingbourne and District Branch of the Royal British Legion. Some donations have already been promised, including a successful application to the Tesco Bags of Help Grant Scheme. The project will also be put forward to a customer vote in Tesco store in Faversham during March and April 2018. February has been a fairly quiet month in the Meadows. Just the usual essential maintenance going on e.g. empting dog waste bins. It has been noted that a few Leylandii trees bordering with Grove Mill Cottage (adjacent to the Hasted entrance) have snapped in half and are leaning over into the meadow. These will be removed when the weather improves. Most of the work with the Meadows has been going on behind the scenes, namely with the “Avenue of Remembrance” project. You may have seen this reported in the KM newspaper and on the BBC South East regional programme. The project has been selected to appear in the Tesco store in Faversham as one of their three chosen charities for March / April. Applications have been submitted for other locations and where successful, these will be published so that supporters can help. Please visit our Facebook and don’t forget to click on the ‘Like & Share’ buttons as this will help in generating income for the project. The pictures above were taken in the Meadows on the last day of February. So much for the start of meteorological Spring!! 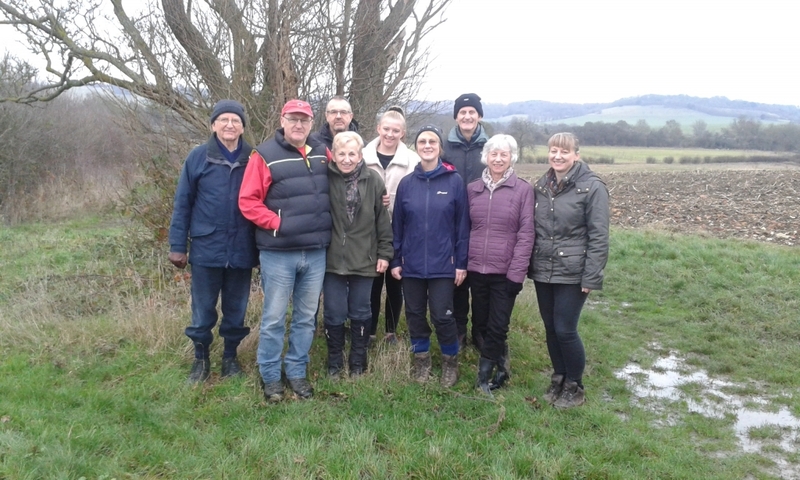 As you are probably aware, the Hollingbourne Meadows Trust Ltd (HMTL) has teamed up with Leeds Hollingbourne & District Branch of the Royal British Legion with the aim of planting 100 Hawthorne trees in Culpeper Meadow under the Project 100 banner. These trees will provide an avenue on the upper and lower approaches to the proposed Circle of Peace and has been aimed at commemorating the end of the First World War. The Hawthorns were chosen for the white blossom which would symbolise peace and red berries to symbolise the blood of those who gave their lives. As the trees grow and mature, then their gnarled trunks would symbolise the stumps of trees left after the shelling, while the way the trees will intertwine would symbolise the way young men came from all over this country and developed their camaraderie together. Funds are being raised for this project and donations are welcome from individuals, organisations and companies. 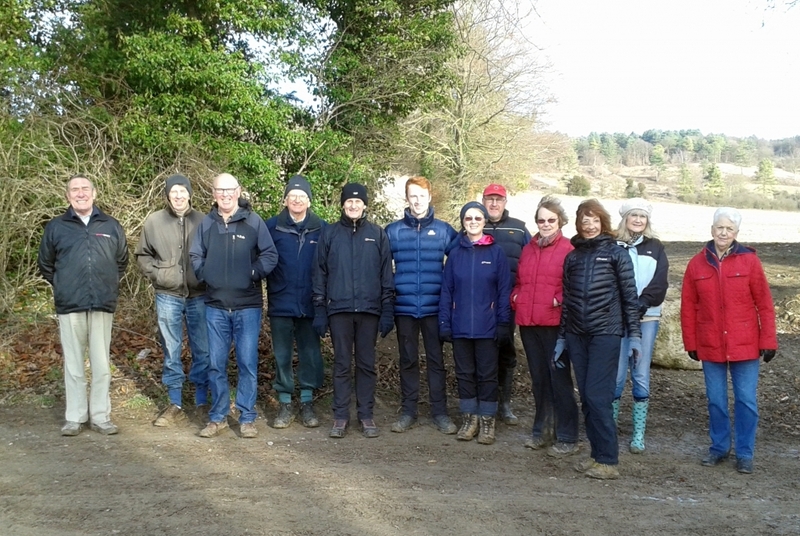 The Boxing Day walk led by Benedict Williams and Malcolm Smith was once again blessed with dry and sunny weather. Twenty people joined the annual event which started at the Village Hall car park. The circular route around the village took in woodland and farmland, some of which unfortunately proved very muddy. The walk finished at the Sugar Loaves where refreshments were taken. Above is a photograph of those who took part. If you are still looking for a gift for a family member or friend or even for yourself, the Meadows Trust Greeting cards and the 2018 Calendar are still available and these both include photographs contributed by residents, and these are still available through the website, or from Peter Lee (phone 01622 880580). The cost of the calendar is £5 hand delivered (and includes a protective envelope for posting), but for postal delivery elsewhere, the cost is £6 which includes postage in a strong cardboard envelope. Best wishes to all our readers and supporters for a happy Christmas and a prosperous 2018. For those of you who are still looking for a gift for a family member or friend or even for yourself, the Meadows Trust 2018 Calendar which includes photographs contributed by five residents, is still available from either Christopher’s Shop, through the website or from Peter Lee (phone 01622 880580). The calendar has very good full colour photographs and is useful for noting the reminders that we all need. The cost is £5 hand delivered (and includes a protective envelope for posting), but for postal delivery elsewhere, the cost is £6 which includes postage in a strong cardboard envelope. Once again I would like to remind all dog owners to please pick up any deposits left by their pets in the Meadows and ideally take it home for disposal. When disposed of on its own it is classified as hazardous waste, and therefore has the potential to place a huge financial strain on the Trust with the cost of disposal. You may recall earlier in the year Maidstone Borough Council removed their dog bins and asked for the waste to be placed in litter bins. This is because when mixed with other dry waste such as paper and plastics, it can be disposed of as general waste. However the Trust does not have this option as we fortunately do not have large quantities of litter to collect, and therefore the cost of disposing of dog waste on its own is subject to the full high cost. 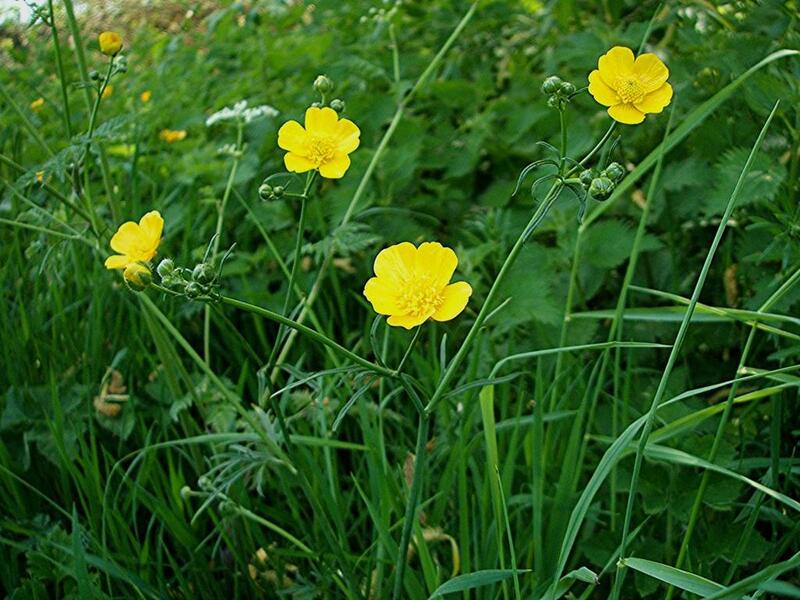 Your assistance with this matter will greatly assist the Trust with its finances, enabling funds to be used for maintaining and improving the meadows for the benefit of all. The Kent Messenger is once again arranging a Dragon Boat Race in July 2018 and the HMT would like to enter a team. Therefore if any group of supporters, pub regulars, sports clubs or teams, would like to help by providing a team of 11 to 17 members on behalf of the HMT then please contact the trust and we will gladly help with the booking and organisation. Your efforts at fund raising will be greatly appreciated. 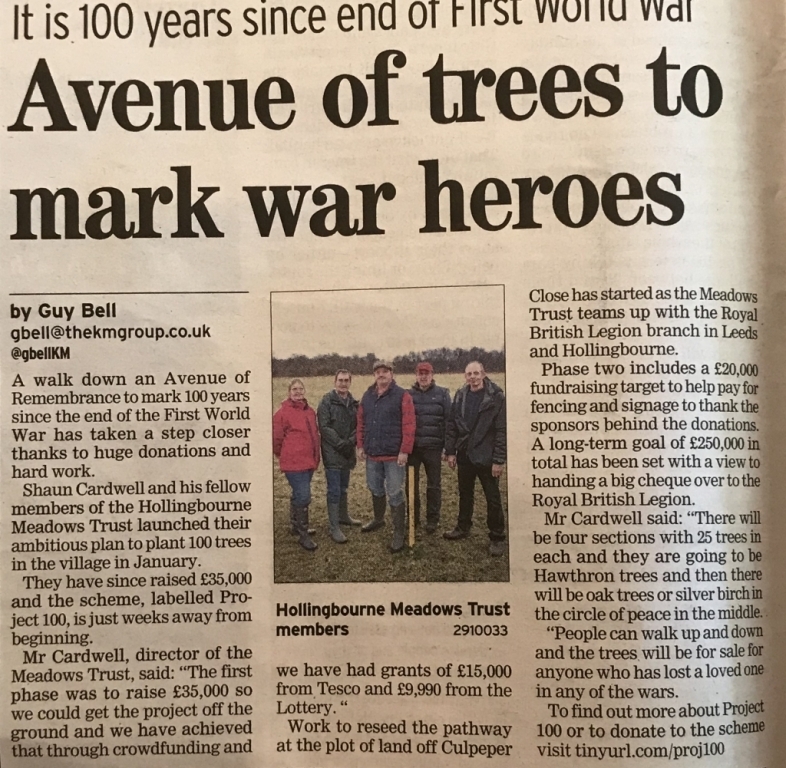 As you are probably aware, the HMT has teamed up with Leeds Hollingbourne & District Branch of the Royal British Legion with the aim of planting 100 Hawthorne trees in the meadows under the Project 100 banner. These trees will provide an avenue of remembrance on the upper and lower approaches to the proposed Circle of Peace and has been aimed at commemorating the end of the First World War. The Hawthorns were chosen for the white blossom which would symbolise peace and red berries to symbolise the blood of those who gave their lives. As the trees grow and mature, their gnarled trunks will symbolise the stumps of trees left after the shelling, while the way the trees will intertwine will symbolise the way young men came from all over this country and developed their camaraderie together. Funds are being raised for this project and donations are welcome from individuals, organisations and companies. There is more on this project on the HMT website and Facebook page, www.facebook.com/Project100HMTL/, which also gives details of how you can support this project. If you would like to be a ‘Friend of the Meadows’ and would like to support this asset which is for the whole community, or if anyone is interested in sponsoring a tree which would make a great present for a loved one, then please visit www.hollingbournemeadowstrust.co.uk, or contact Peter Lee on 01622 880580. The Meadows Trust Annual General Meeting was held at 7.00pm on Friday 3rd November 2017. It was good to see many friends, supporters and residents attend and to lend support to the event and contribute to the discussions and decisions. 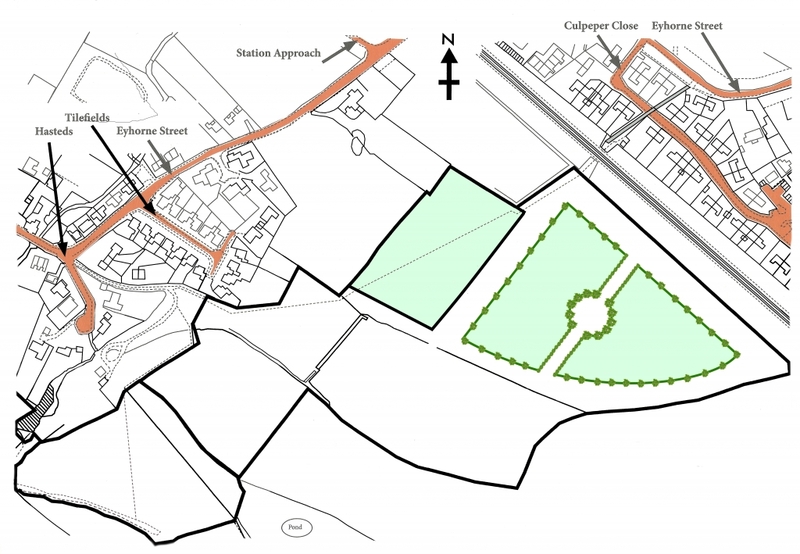 The purchase of the 7 acres of land at Grove Mill Farm was finally completed in October 2017. This has been managed by the Meadows Trust for some time now and the purchase by the Trust has only been possible through the receipt of a large donation. An envelope was recently received by the Trust, marked "Donation". This contained the message "NO TREE. Anonymous donation for everyday maintenance from a Happy Walker". The generous donation will be used to contribute towards the day to day maintenance of the meadows. The Meadows Trust 2018 Calendar (Pictured above left) which includes photographs contributed by five residents, is now available and will be on sale from either Christopher’s Shop, through the website or direct from Peter Lee (phone 880580). Cost is £5 hand delivered (and includes a protective envelope for posting), but for postal delivery elsewhere, the cost is £6 which includes postage in a strong cardboard envelope. 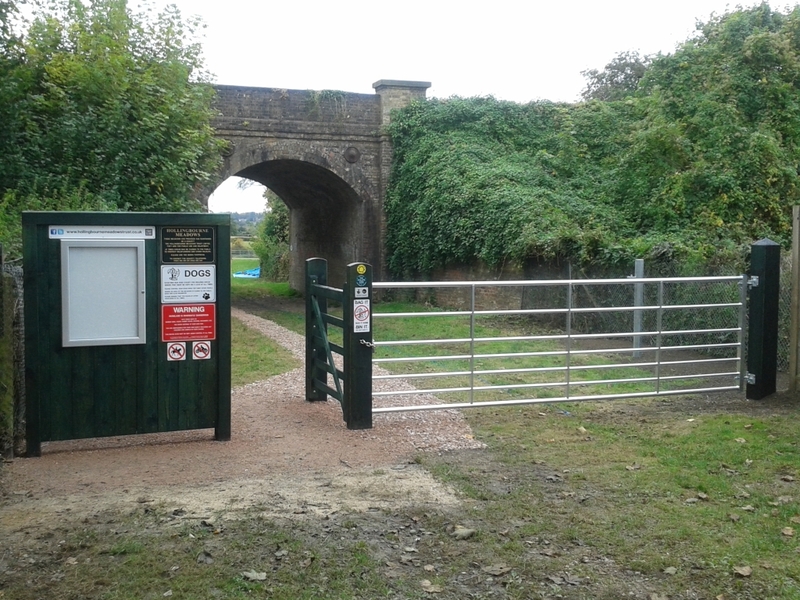 Two improvements have recently been completed, one of which was the removal of the old footbridge between the Hasteds entrance field and Culpeper meadow. This bridge was old and could be slippery when wet and the gaps between the planks were large and did not comply with current standards. This improvement will provide a safe passage for all. The second project (Pictured top right) was the renewal of the drainage pipe at the top of the hill near to Windmill Coppice. This ran underground and had collapsed, resulting in the ground becoming water logged and very muddy, but these improvements should ensure that the land now drains and hopefully the amount of mud should reduce. Once again, could I remind all dog owners to please take your dog waste home with you or as last resort, use the Dog Bins provided. An important date for your diaries: The Hollingbourne Meadows Trust’s Annual General Meeting is being held at 7.00pm on Friday 3rd of November 2017 in the Village Hall. It will be good to see as many residents and friends attending to support the event and contribute to the evening. Refreshments will be available. Further details can be found on the Trust’s website. Alex Hodges is back with us for his second year of work experience. 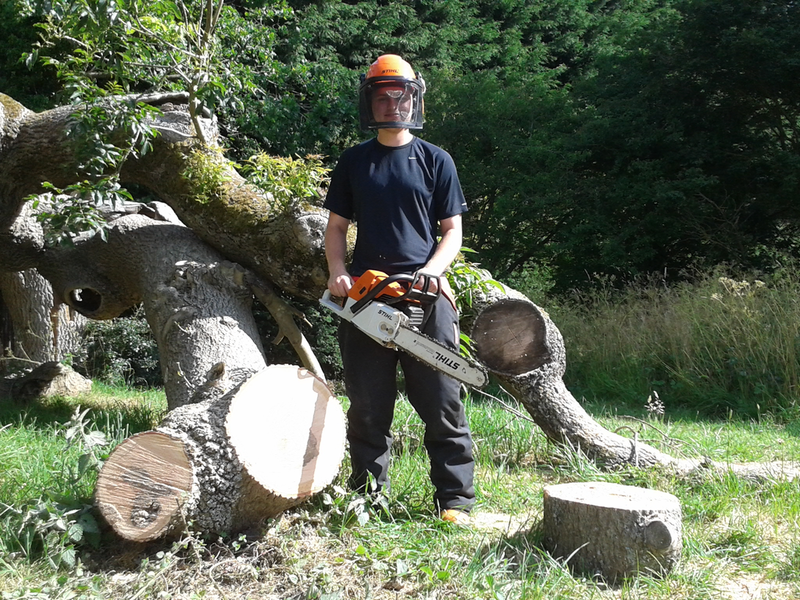 Alex is currently studying for a Foundation Degree at Hadlow College and has been helping Ben with hedge and tree pruning in Eyhorne and Windmill Meadows. 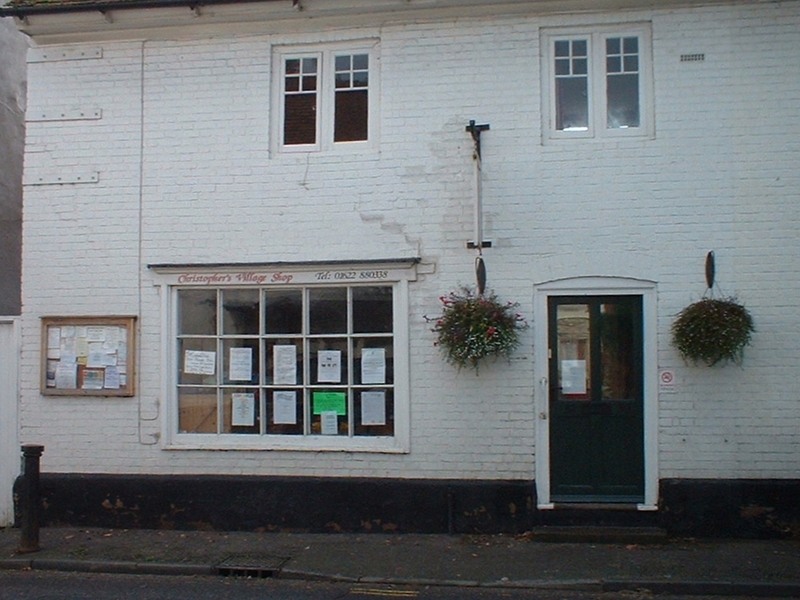 The trust supported the Hollingbourne W.I. 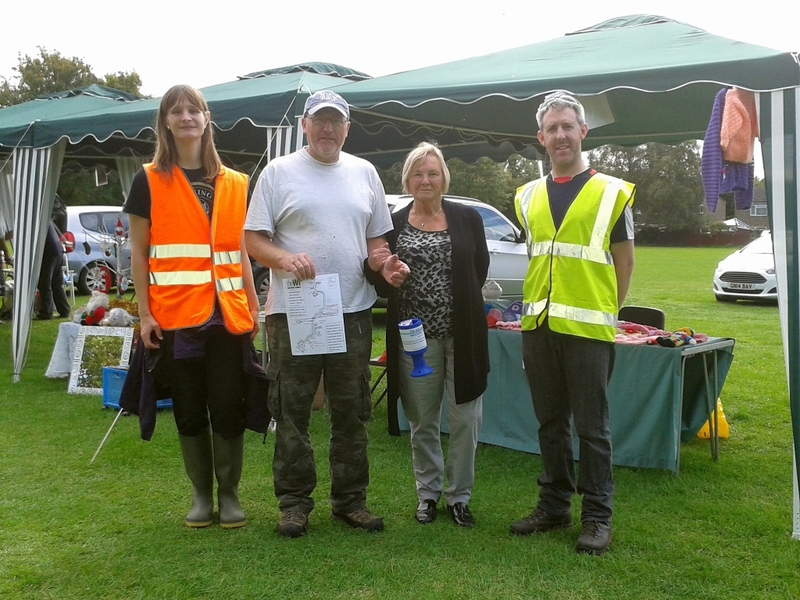 in organising and managing The Safari Market on the 23rd of September and its team were out in force on the Lance Memorial Field assisting with the car parking. Malcolm and Adriana Smith helped in the kitchen cooking bacon and sausage rolls. Below is a photograph of the Safari Car Parking team consisting of Sam Shaw (Left), Ben Williams, Allan Smedley (not in photo) and Simon (Right) with Janice butler of the W.I. On the 5th September Lynn and Glenn Bryan organised an Art Show which was held on Pilgrims Way and £221.27 was donated to the Trust from the proceeds. This was a great result and thoughts are being given to hold this event in the meadows next year. Ben Williams met artist, Antonia, who has a website, http://www.antoniaenthoven.co.uk. Antonia has offered to produce an artist’s impression of the proposed ‘RBL 100 tree’ project. If you would like to be a ‘Friend of the Meadows’ and would like to support this asset which is for the whole community, or if anyone is interested in sponsoring a tree which would make a great present for a loved one, then please visit www.hollingbournemeadowstrust.co.uk or contact Peter Lee on 01622 880580. Now that autumn is upon us, I hope that the harvest is completed and the produce is stored ready for the winter. This year, the very warm and dry weather during the first half of the year meant that a good hay crop from the meadows looked unlikely. 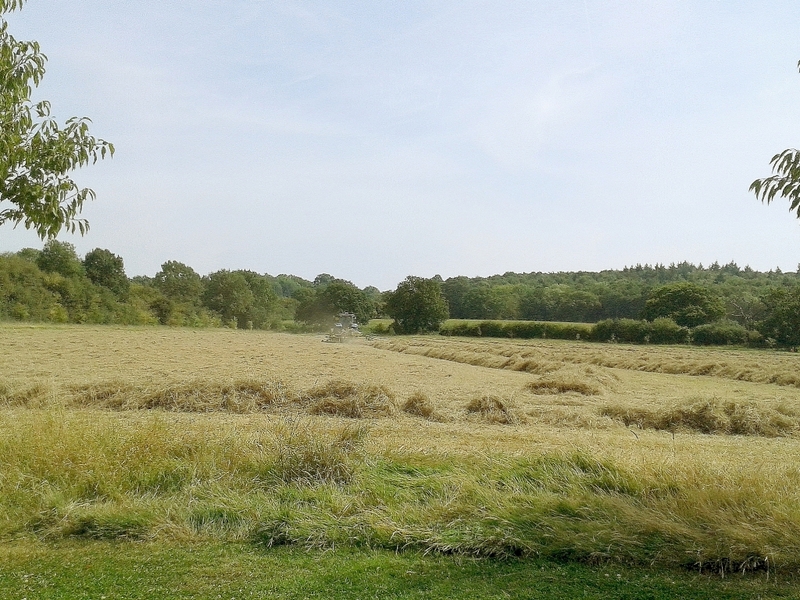 However, the late summer rain helped and when the weather finally came good over the August bank holiday weekend, 95 large and 50 small bales of hay were harvested. As Christmas and the start of a new year is approaching quickly, thoughts have been given to the 2018 Meadows Trust Calendar and it has been decided that new photographs are required for the calendar. The Trust would be pleased to receive photographs from all budding amateur photographers for possible inclusion in the 2018 Meadows Calendar. The photographs need to be in landscape format, in colour and of excellent resolution to enable them to be enlarged to A4 size. Ideally (but not necessarily) the photos should have a “nature” or "outdoors" theme. The photographs should be sent to musketlane@btinternet.com in ideally jpg format to enable transmission to the printers. The deadline for entries is Midnight on Sunday 15th October 2017. There will be no payment or prizes, but those whose pictures are included in the calendar will be credited in the calendar against their photographs and the contributor will be given three copies for their friends or family. They make an ideal Christmas present or gift, and even if you are not fortunate enough to be included in the calendar, you may find your photograph(s) will be published on the Meadows Trust website. Matthew Scott, the Kent Police and Crime Commissioner has awarded the Meadows Trust £750 from his Communities Together Fund, which is to be used to assist in the purchase of a Fleming 4’ Topper. This Topper will help with maintaining the long grass habitats. A note for your diaries, is that the Meadows Trust Annual General Meeting has been arranged for 7.00pm on Friday 3rd November 2017. Further details will be published nearer the time not only in this bulletin but also on the Meadows Trust website. Once again could I remind all dog owners to please use the Dog Bins provided. Or, if you see other irresponsible owners please could you point them in the right direction. If you would like to help with the planting or any other projects and spend a few enjoyable hours out in the fresh air, then please contact Ben on 07968 123165. If you would like to be a ‘Friend of the Meadows’ and would like to support this asset which is for the whole community or if anyone is interested in sponsoring a tree which would make a great present for a loved one, then please visit www.hollingbournemeadowstrust.co.uk or contact Peter Lee on 01622 880580. As I write, the weather has been very unsettled since the beginning of the school holidays and hope that by the time you read this article we have managed to enjoy some dry, warm and sunny days. In 2016 a pair of wild cherry trees were planted opposite one another. These can be seen in Flower Meadow as you exit Culpeper Meadow via the new wooden bridge. One tree was intended for sponsorship, whilst the other was to be kept as a spare. Early in July 2017 Ben decided instead of offering the tree for sponsorship, the Trust would do something a little different. So to coincide with the commemoration of the 100th anniversary of the start of The Battle of Passchendaele, a special plaque was erected adjacent to this tree. If anyone would like to adopt, sponsor or make a donation to help with the upkeep of this special tree, please contact Ben via our website, or if preferred you can contact him directly on 07968 123 165. Apart from the installation of two metal path marker posts in the far top corner of Culpeper Meadow, it has been normal summer maintenance for Ben and the volunteers, i.e. cutting and strimming the grassed areas and paths. It has been noticed that dog fouling of the footpaths has increased significantly over the last month or so. Whether this is due to the longer summer evenings resulting in increased usage of the Meadows we are not sure, but whatever the reason, it is extremely unpleasant for other visitors, and especially for those trying to maintain the Meadows, as it is very unpleasant being sprayed with “dog fouling” whilst strimming the long grass. If you are a dog owner then please use the Dog Bins provided. Or, if you see other irresponsible owners please could you point them in the right direction. It’s been normal summer activities in the Meadows this month with plenty of grass mowing & strimming. The lack of volunteers due to holidays has put paid to anything but the most essential maintenance. Due to the absence of volunteers, Ben has had to improvise by mechanising some of the most important tasks. 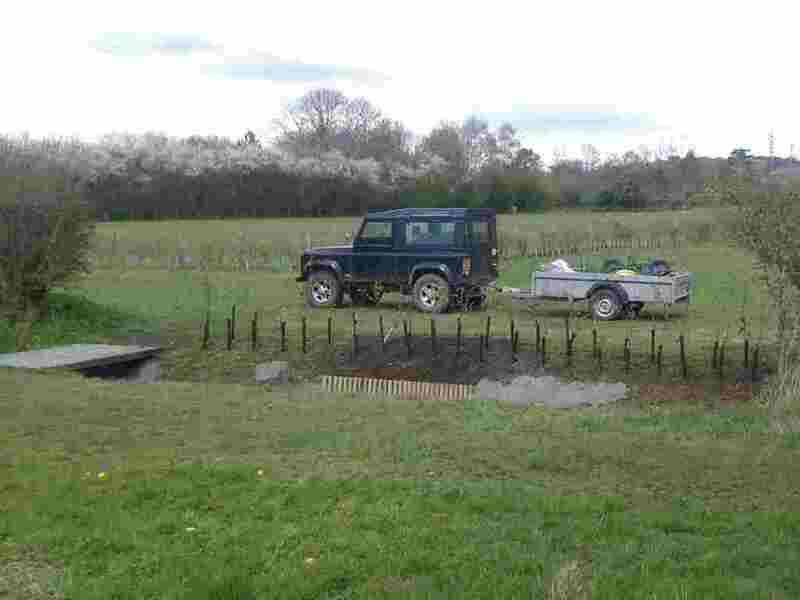 He is now able to water the coppice and hedges with a pumped bowser all on his own (Pictured above). Previously this would have been carried out by a team of volunteers with watering cans. During the exceptionally hot and dry spell he managed to apply 18000 litres of water over 2 days to help keep the newly planted trees alive. Although the sheep have been temporally removed from Godfrey House Meadow, dog walkers please be aware, they are likely to be returned at very short notice. So if you enter Godfrey House Meadow, or any other meadow come to that, please look out for sheep. If they are present please keep your dog on a short lead so that no harm comes to them. Any dog can become a sheep worrier regardless of how sweet and cuddly it may seem to its owner. Therefore please abide by the Countryside Code. As I write, Kent has experienced some periods of heavy rainfall although this is still well below the average for the year. Hopefully we will receive enough rainfall to prevent drought orders coming into place but without affecting our enjoyment of planned summer activities. On Saturday 10th June, The Meadows Trust supported the Hollingbourne Fete by managing the car parking in the Lance Memorial Field as well as The Trust’s own pitch adjacent to the arena. The Trust would like to offer their sincere thanks to Alan Williams, Alex Hodges, Cat Brown, Dave Clements, Keith Pockett and Ivor Tapsfield for their time and effort they freely gave up as without their assistance, the fete would not have been the success that it was. Thank you to all who gave their donations to The Meadows Trust which amounted to a total of £530.05 on the day. Below is a breakdown of how the money was raised. Back in the meadows and a great deal of time has been spent on keeping the grass under control. While it has been dry, there has been enough rainfall to keep the grass growing. The path mowing and strimming has been entirely down to Ben and Ian Willy’s hard work. Those who regularly walk in Culpeper Meadow will probably have noticed a new sign as you exit the meadow (Pictured above). Its placement is intended to highlight the fact that the Trust operates entirely on donations, it has no other form of income. The sign incorporates a QR code which is linked to our “mydonate” operated by BT. If you have enjoyed your walk(s) in the Meadows and you would like to make a donation, please give it a try. 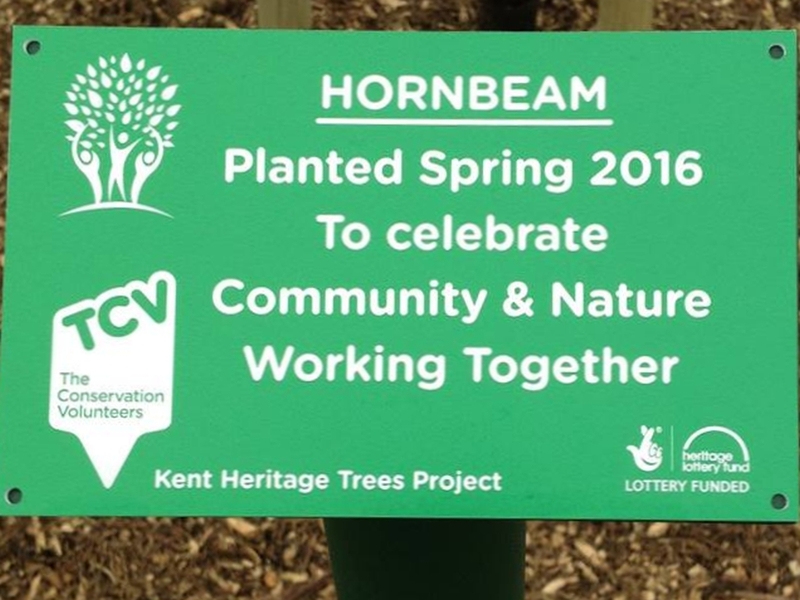 A number of plaque posts & plaques have been installed adjacent to newly sponsored celebration trees. In Flower Meadow a taller post is being trialled. These are more visible being two foot above ground, hopefully making it less likely for dogs to run into them. 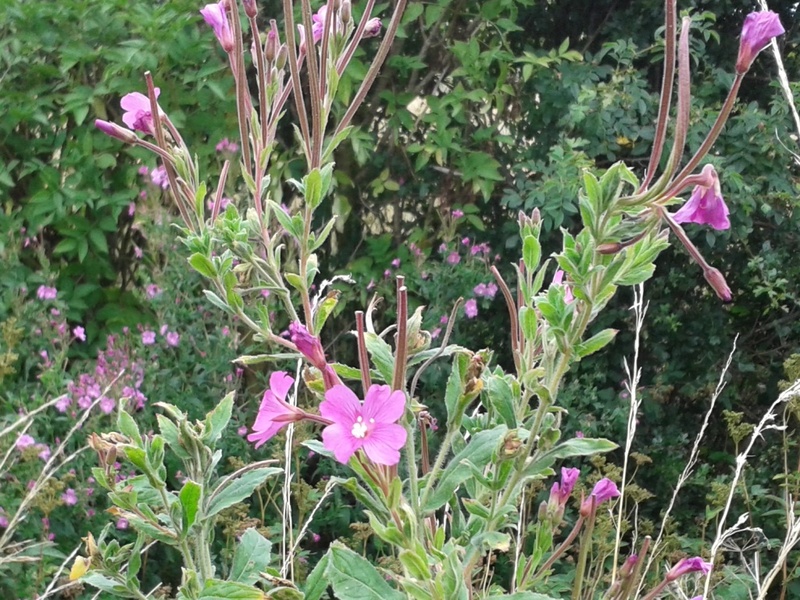 A number of failed hedging plants have been replaced between Culpeper and Flower Meadow. Despite the recent heavy rain showers in June, watering continues on 48 trees that were planted last year and earlier this spring. Without the watering they would surely die, but the older trees should now be able to cope without assistance. Dog walkers please be aware that 20 sheep have been placed in Godfrey House Meadow. If you enter this meadow please keep your dog on a short lead so that no harm comes to the sheep. Any dog can become a sheep worrier regardless of how sweet and cuddly it may seem to its owner. Therefore please abide by the Countryside Code. As I write this, Kent has experienced rainfall well below average this year. Hopefully we will receive enough rainfall to prevent drought orders coming into place but without compromising the planned summer activities. The Meadows Trust will once again be supporting the village fete on Saturday 10th June in the Lance Memorial field. The team will be managing the car parking again and aim to make this as successful as last year. Donations for a copy of the programme will be collected at the gate and these will be put to good use. The Trust will also have a stand at the fete and so please call and say hello and see what we have been doing and what projects are planned. We have received a very complimentary email from a visitor to the meadows and the writer said "...we could clearly see someone was looking after it all in a most unusual way; someone with a passion to hold on to something rather precious, protecting swathes of land from neglect and possible inappropriate development; someone with a vision that would ensure future generations could continue to benefit from and enjoy what we have today. We saw a positive caring for the environment and the biodiversity around us; evidence of concern and a desire to show that we can live in harmony and with respect for our natural surroundings." If you would like to read the complete email then please click here. In the past month the team consisting of Ben assisted by Alex, Nathan and Malcolm have been very busy mulching the trees to prevent weed growth and help retain moisture. A total of 63000 litres of mulch was applied to 1100 trees in over 6 and a half days. Over the next 4 days, the team, this time assisted by Adriana, treated 1200 trees to 14000 litres of water to help them survive and keep them healthy during this dry period. There is a new video on the meadows which has been created by Sam (Pictured above), one of the students, as part of her degree course and this can be viewed on our YouTube Channel. Sightings of Nightingales and Skylarks have been confirmed in the meadows along with confirmation of Slow Worms, mice, voles, lizards in the long grass habitats. However some visitors are regularly walking through these habitats and it would be helpful if everyone could remain on the clear footpaths as we need to retain, undamaged, the areas for the wildlife. Hollingbourne WI and The Meadows Trust are organising a MIDSUMMER DAY event in the meadows near to the Culpeper entrance at around 8pm on Saturday 24th June 2017. The idea is that anybody who has a dedicated tree should bring a candle, safely stuck in a jam jar, which they will light near it. If you don’t have a tree - come anyway. We will all gather around the trees and say a poem or two at each one! When we have finished the walk we will tuck into our picnics, chat to each other until we have seen the sun go down and then walk home. A simply lovely idea. Candle, picnic and poem plus any other comforts that you wish to bring are all that is needed for this evening with your neighbours. We would love to see you there. For more information contact Ben on 07968 123165 or a member of Hollingbourne WI. While walking in Culpeper Meadow, you may have noticed the recent appearance of a large circle of posts in the centre of the Meadow and are intrigued to know their purpose. These show the proposed position of a circle of trees, 32 metres in diameter, set out in the form of a compass, clock or sundial. The intention is to plant eleven oak trees, and, in the solar north position, one tree of a different species, probably a hornbeam. In the centre of the circle will be a tall post, which will act as a gnomon for the "sundial", and will also serve as a post for an owl or other predatory bird. 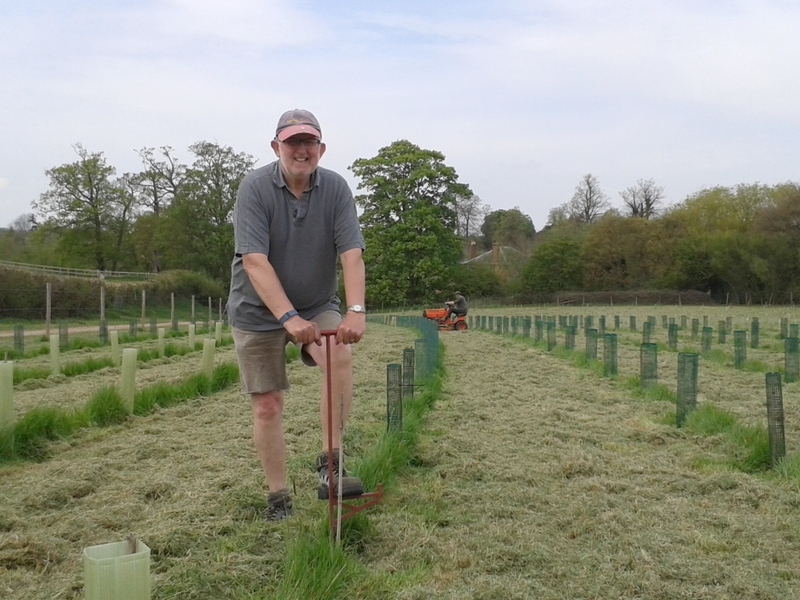 The circle of twelve trees celebrates the first 12 years in the life of the Meadows Trust, and commemorates 12 years of service by Jim Findlay, who recently retired from the Board after acting as Trustee, Director and Chairman since we were founded. There are now four Hadlow college students assisting Ben in the Meadows Trust and their names are Samantha Shaw, Gemma Luckhurst, Nathan Sage and Alex Hodges and so if you see them in the meadows then please feel free to stop and have a talk. A warm welcome and words of support will be most appreciated. 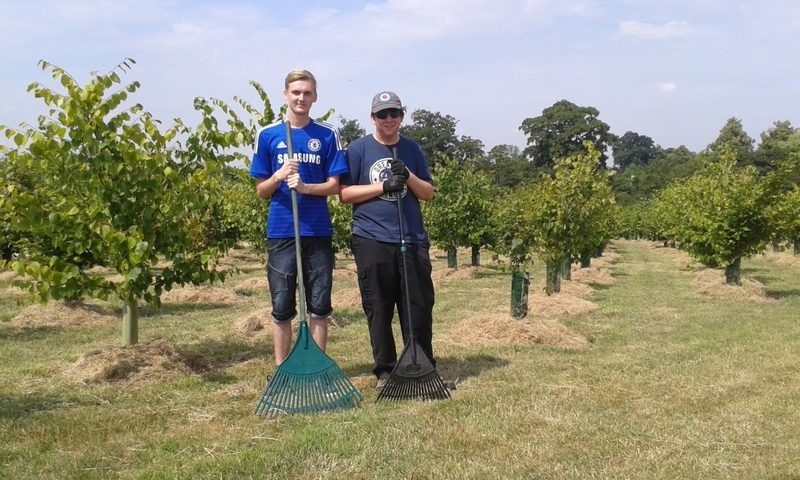 Pictured are Nathan Sage (Left) and Alex Hodges who have been working hard mulching trees and hedges within the meadows. 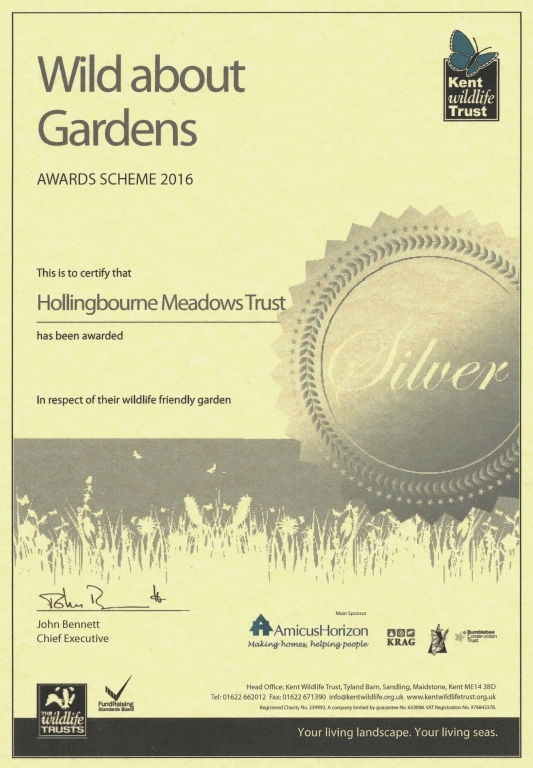 The Meadows Trust team are supporting the Hollingbourne W.I. this year. They are helping them to organise and manage the Safari Market, which is being arranged for Saturday 23rd September 2017. An advertisement and stall booking form is available in the parish magazine. Bookings and enquiries can also be made by telephoning 01622 880382 or at Christopher’s shop. It is unfortunate once again to report an act of vandalism in the Meadows, when between 5pm & 6pm on Thursday 6th April 2017, 14 posts where broken and strewn about the meadow. 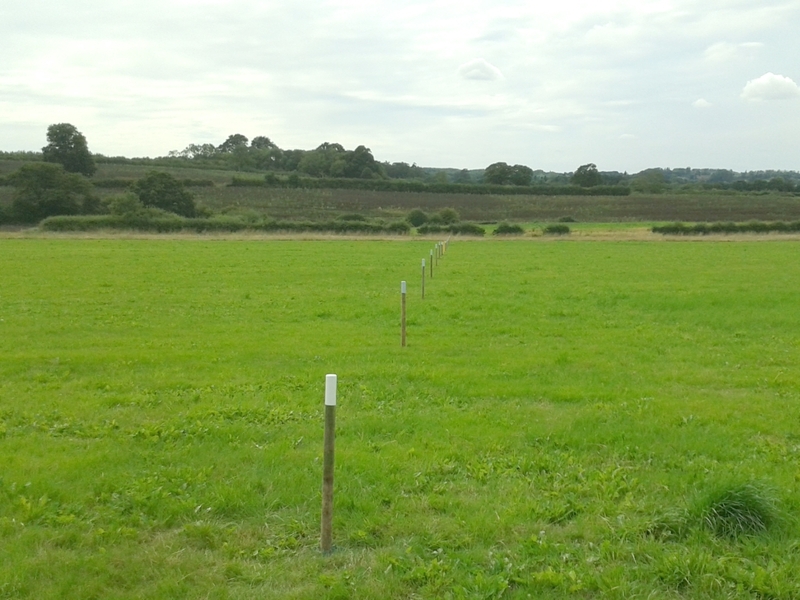 The marker posts were on the southern side of Culpeper Meadow, from the bench/dog bin to Godfrey Meadow. Two young boys possibly of primary school age, one of which was described as wearing a grey hoodie and being short and of stocky build, were seen out in the meadow acting furtively. If you have any information on this incident or any others in the future then please report it to Ben Williams, or to the police. As you can appreciate this is just another cost to the charity which is funded through YOUR donations. The Trust has for sale, packs of greeting cards. These attractive A5 sized cards (including envelopes) are professionally printed and are offered in packs of six, sealed in a protective cellophane sleeve. They are blank on the inside and cost £5 for 6 cards. We are always looking for help with projects and would particularly encourage the involvement of residents in the Meadows. If you would like to help with the planting or any other projects and spend a few enjoyable hours out in the fresh air, then please contact Ben on 07968 123165. 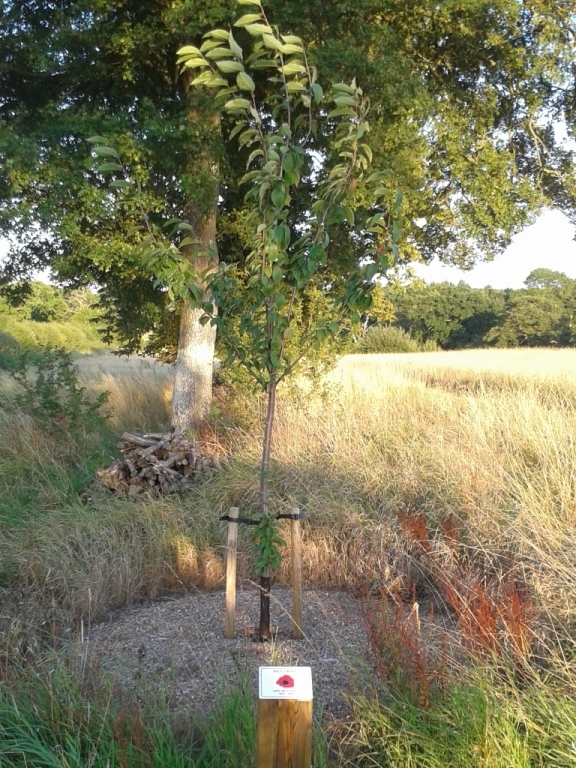 The Trust has finished planting the trees in Culpeper Meadow and there are 22 available for immediate sponsorship which is an excellent way to remember a loved one or to commemorate a special occasion. A detailed list the trees along with their description is available on our website. The compost that was being stored near to the Culpeper Meadow railway bridge has gone. Pictured is Ben Williams preparing the area for re-seeding. Some of the compost was used to mulch the new trees, but a large proportion was used on the meadows footpaths to improve the condition of the grass in a bid to make the footpaths more robust. 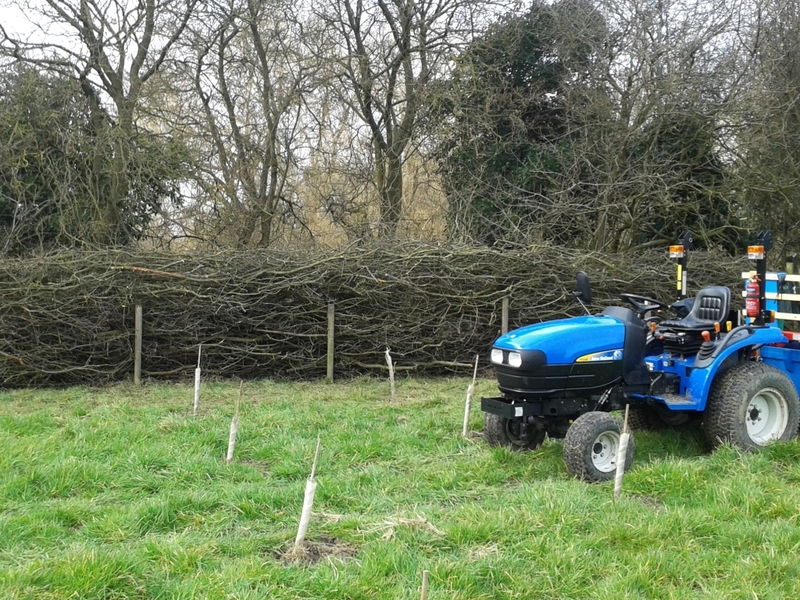 During March, the work on the hedgerows was the prime focus and this work needed to be completed before the hedges came into leaf and the birds start nesting. 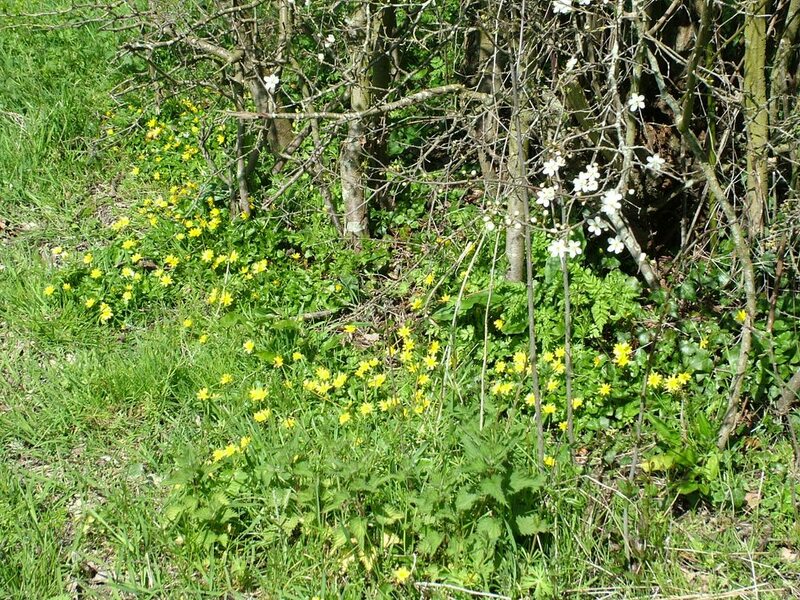 The hedgerow in Windmill Meadow has had particular attention, where there had been a 20% failure rate and planting to fill the gaps in the hedge has taken place. You may have noticed that the Trust is trialling a new type of tree guard, which is wider and taller. It doesn’t look as attractive as previous ones, but hopefully it will afford the plants better protection. 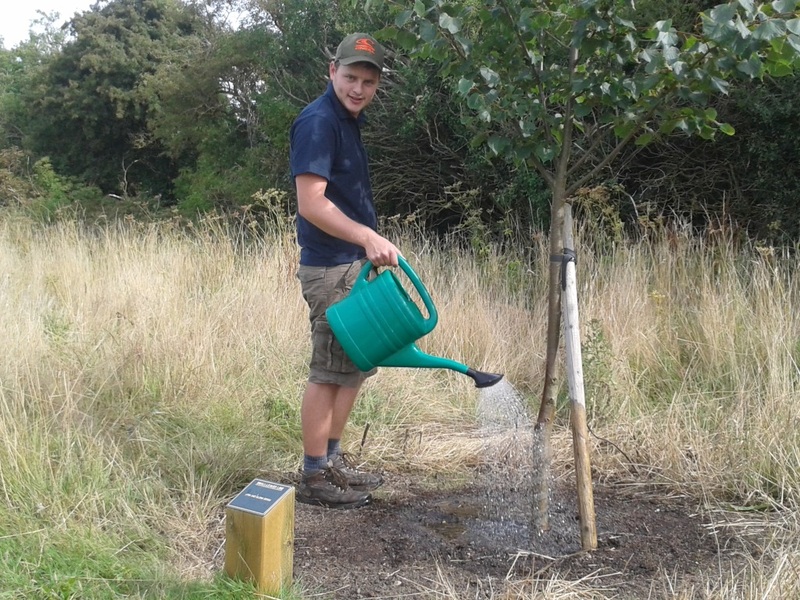 The Trust’s fourth Hadlow student has been assisting Ben Williams with work in the Meadows. As Nathan is finding out, the work is not all glamorous or pleasant as it involves the emptying of the dog-poo bins! If you see Nathan and Ben working in the Meadows, then please stop and say hello and have a talk which will help Nathan feel welcome and at home. On the subject of the dog-poo bins, it has been noted that supermarket carrier bags full of dog-poo have been deposited in the bin in Tilefields Meadow, which would indicate that someone is bringing this from their home. The bins are not for this purpose, and I ask that this activity stops. The emptying of the bins is an unpleasant task and is carried out by unpaid volunteers. The Meadows Trust Calendars which consist of beautiful photographs of the Meadows have now all been sold and thank you to all of those who have bought one and hope that you look forward to the launch of the 2018 calendar. On this subject, the Trust would be pleased to receive copies of photographs for possible inclusion in the 2018 calendar. If published then you will receive recognition and a mention in the parish magazine. Even if not fortunate to be included in the calendar, then you may find that photograph(s) will also be placed on the Meadows Trust website. 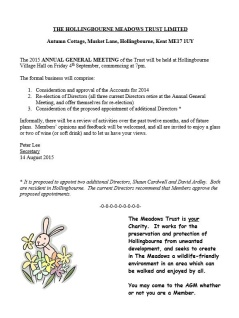 Please email your photographs to hollingbournemeadowstrust@gmail.com. With spring on its way the Trust are taking the opportunity to prepare for the coming summer and the planting of more trees and hedging is planned during February and March and should, weather permitting, be in progress by the time you read this article. There are 23 trees to be planted consisting of Beech, Copper Beech, Downy Birch, Silver Birch, Wild Cherry, Sweet Chestnut, Hornbeam, Small Leafed Lime, Pedunculate Oak, Rowan, Walnut, Wild Service Tree and Whitebeam. Of the 23, 17 are currently available for sponsorship and the locations of these can be viewed on the Trust’s website. To sponsor a tree to remember a loved one or commemorate a special occasion, then please see the details below. The hedge planting consists of 100 Hawthorn for replacing failed plants in previous hedge planting and this should then ensure that we have no gaps in the hedge. The recent hard frosts have put paid to any digging in the meadows, so the volunteers have temporarily diverted their activities to working in the Church yard. 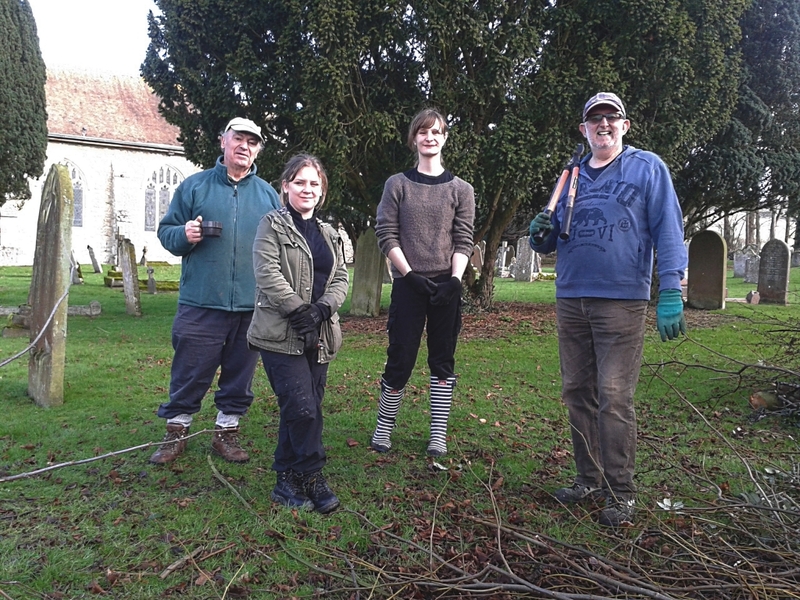 Six volunteers helped to clear undergrowth and encroaching trees from around headstones. Pictured (Left to right) are: Ivor Tapsfield, Gemma Luckhurst, Samantha Shaw and Keith Pockett. 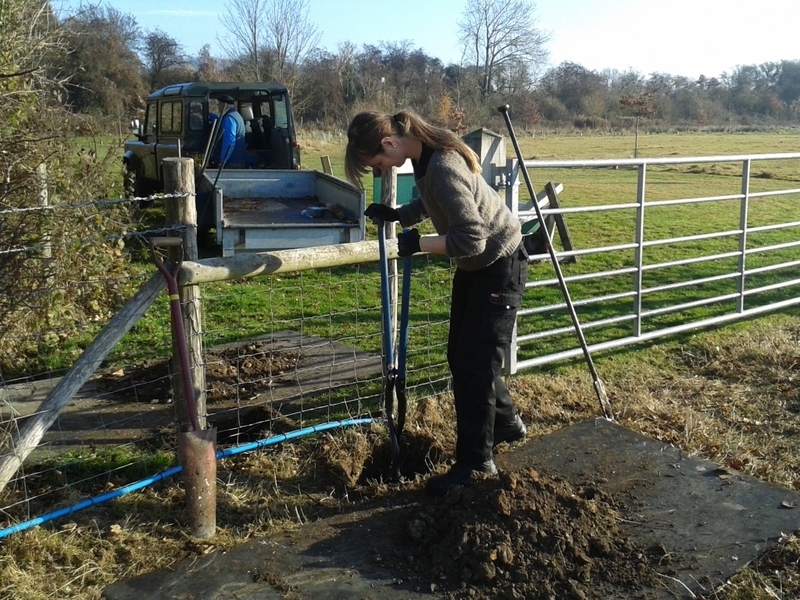 Gemma has recently joined the Meadows Trust as part of her work experience whilst she studies for her Fdsc (Foundation degree) in Animal Conservation and Biodiversity at Hadlow College. I would like to remind all dog walkers keep their dogs on lead for the safety of ALL users of the Meadows. In particular I would like all dog walkers to consider what is their dog doing when off the leash and out of sight. Please consider that children and adults can walk off the mown walkways and that it is not very pleasant to find that you or your child has trodden in dog poo and not to mention the potential health hazards from direct skin contact. If you would like to be a ‘Friend of the Meadows’ and would like to support this asset which is for the whole community or if anyone is interested in sponsoring a tree which would make a great present for a loved one, then please visit www.hollingbournemeadowstrust.co.uk, or contact Peter Lee on 01622 880580. It is with a heavy heart that I have to report that Jim Findlay has taken the decision to retire as Director and Trustee of The Meadows Trust. Jim was one of the three founding Members who got the Meadows Trust off the ground in 2004 when the charity was formed and Eyhorne Meadow bought. In 2010, when the breaking-up of the Grove Mill Estate commenced, Jim’s encouragement, support and guidance led to successful public appeals for funds, and the purchase of Hollingbourne Meadows. Without him, the trust and the village would not be where we are today. A heart felt thank you, Jim, for all you have done for the Meadows Trust and for our Village. Malcolm Smith and Ben Williams of the Hollingbourne Meadows Trust once again organised and led the Boxing Day Walk. 25 people along with several dogs enjoyed the walk which commenced from the Village Hall and ended after almost 6 miles at The Dirty Habit Public House in Upper Street for refreshments. The Trust are planning to plant more trees and hedging during January, February and March and if you would like to help and spend a few enjoyable hours out in the fresh air, then please contact Ben on 07968 123165. To sponsor a tree please see the details below. 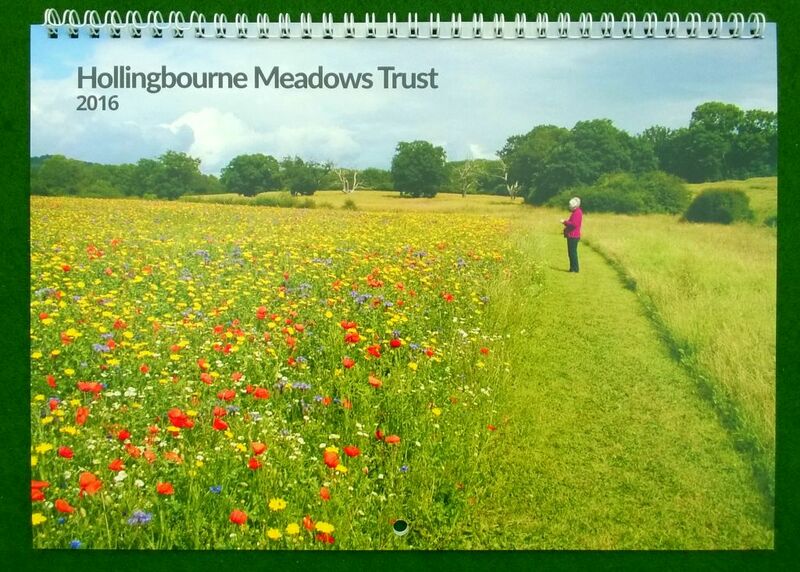 The Meadows Trust Calendars which consist of beautiful photographs of the Meadows are still available for the very reasonable sum of £5, and can be obtained at Christopher’s Shop or, by contacting Peter Lee or through the Hollingbourne Meadows Trust website. Best wishes for 2017 from the Directors of The Meadows Trust. The Christmas festivities are now a memory and the start of a new year. This means that while the meadows should be now deep into hibernation, this is the time to start planning for the coming spring which officially is only two months away. 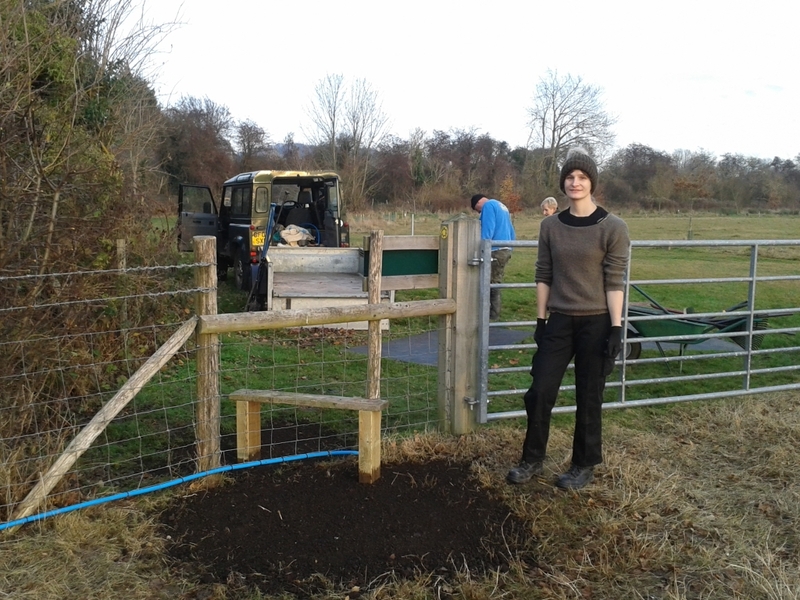 The Trust would like to welcome Samantha Shaw, who joined the Meadows volunteers in December as part of her Fdsc (Foundation degree) in Animal Conservation and Biodiversity degree at Hadlow College. 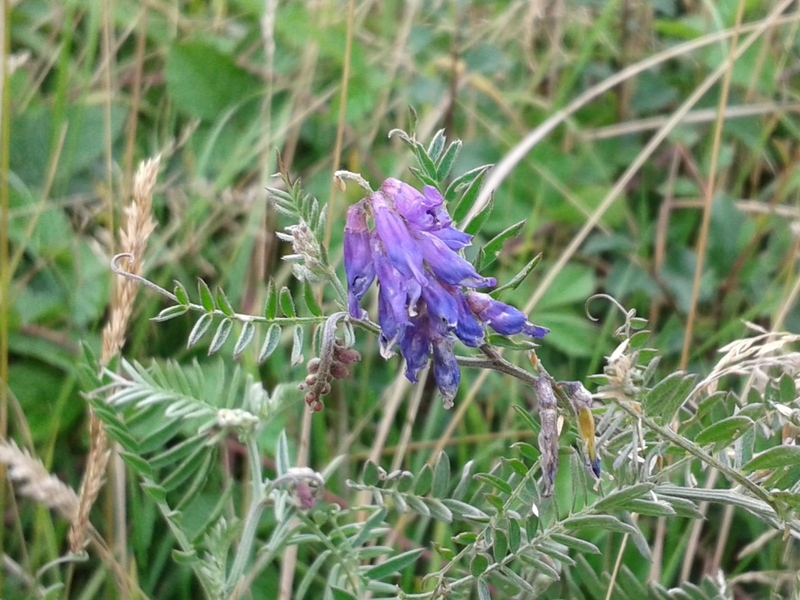 Sam chose her voluntary work placement with the Trust because the Meadows support a large variety of flora and fauna, managed in a minimal intrusive and environmentally friendly manner. 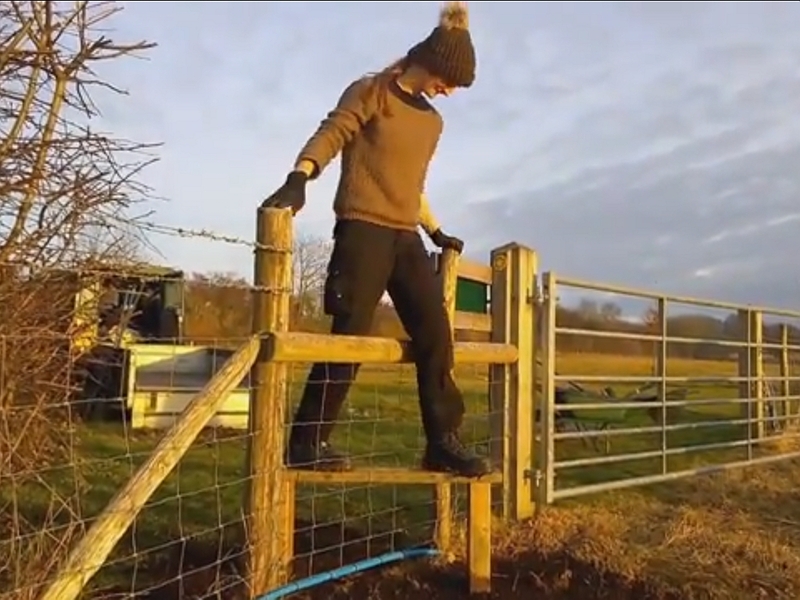 Pictured above, is Sam helping with the repair of the Godfrey Meadow stile. • Checking and replacing dislodged tree guards in Windmill Coppice which was carried out by a team of volunteers. 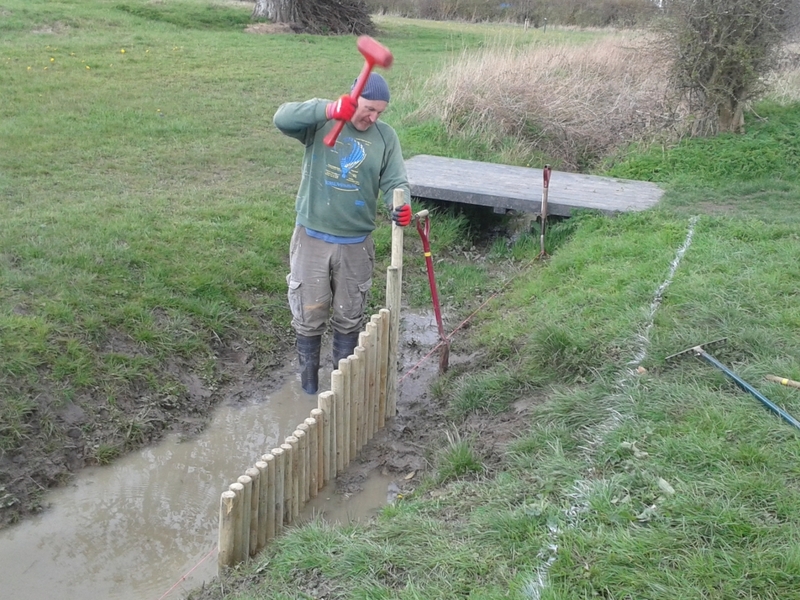 • The wobbly stile on the north side of Godfrey Meadow’s public footpath has been repaired. The original rotted out in just four and a half years and the replacement has been constructed from better quality preserved timber and should last much longer. I would like to remind all dog walkers keep their dogs on lead for the safety of ALL users of the Meadows. In particular I would like all dog walkers to consider what is their dog doing when off the leash and out of sight. Please be consider that children and adults can walk off the mown walkways and that it is not very pleasant to find that you or your child has trodden in dog poo and not to mention the potential health hazards from direct skin contact. 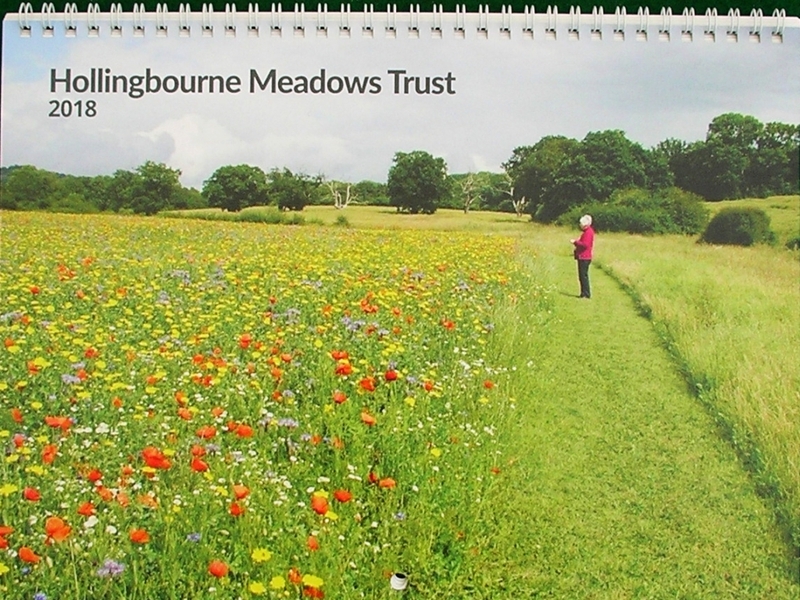 The Meadows Trust Calendars which consist of beautiful photographs of the Meadows are available for the very reasonable sum of £5, and can be obtained at Christopher’s Shop or, by contacting Peter Lee or through the Hollingbourne Meadows Trust's Website Shop. Details of both are below. By the time that you read this it will officially be winter with Christmas fast approaching. It is a quiet time in The Meadows as most of nature is well into hibernation, but that does not mean that work stops for the volunteers who devote their time to The Meadows Trust. 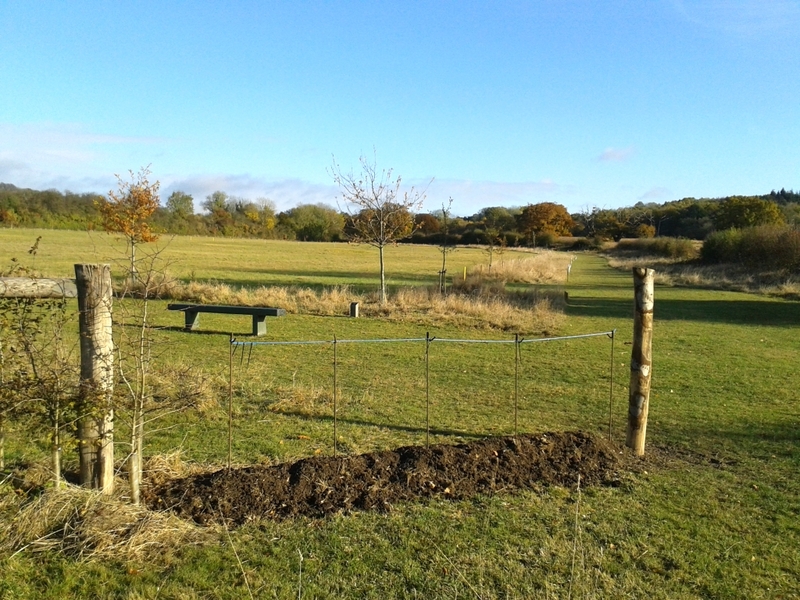 • The damaged stock proof tree fencing in Eyhorne Meadow has been removed and the wire folded up to be recycled. This fencing is now past its use by date and new fencing is required once the funds are available. 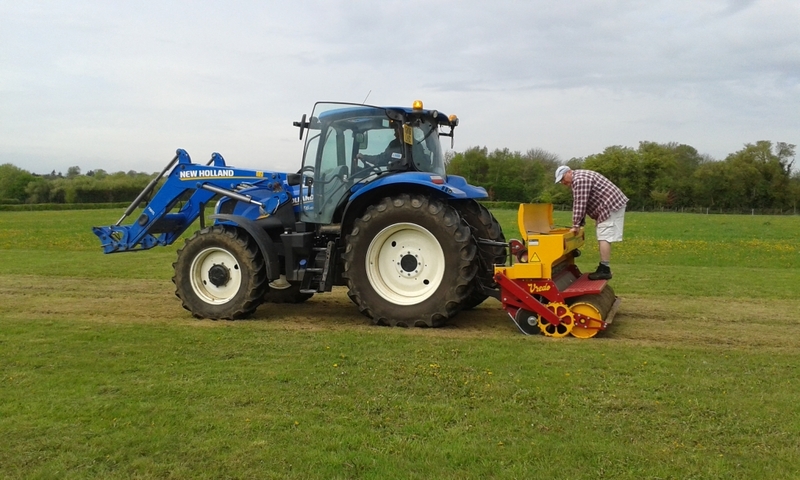 • Eyhorne Meadow was chain harrowed after making extensive repairs to the harrow which is on loan from a farmer. • 33 trees in Windmill coppice that failed to grow have been replaced mostly with Hazel nut. Windmill coppice currently has over 600 trees of various species. 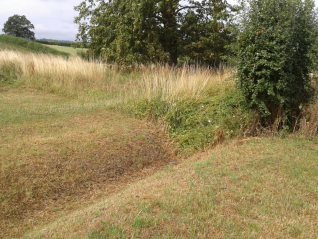 • The corner of Godfrey Meadow hedge in Culpeper Meadow has been extended so as to better protect the habitat area. 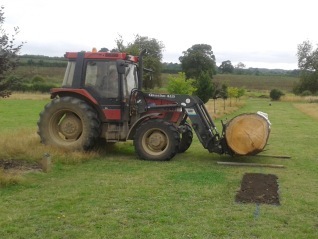 The ground has been prepared ready for planting with Hawthorn. • At the extremity of the hedge an “owl post” has been installed which should hopefully encourage owls to perch and consume their prey. So look out for owl pellets at the base of the post. • 35 sheep have been temporally put into Godfrey Meadow to graze, so dog walkers please be aware, and keep your dogs on a lead and under control if you walk the public footpath through this meadow. 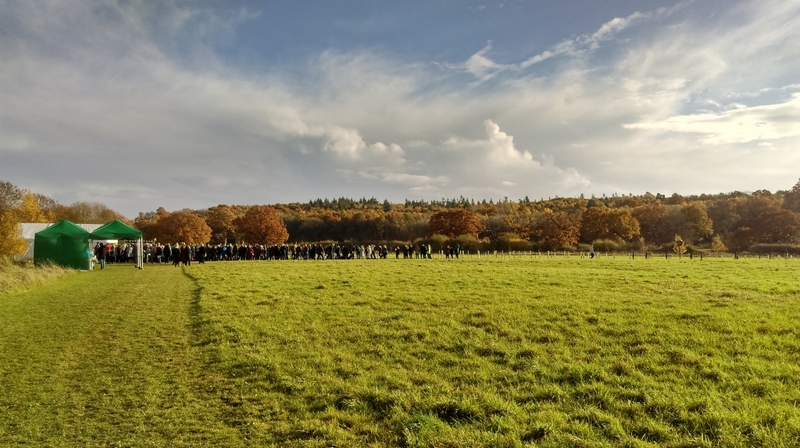 Ben Williams attended the ‘Local Wildlife Site Landowners Day’, hosted by the Kent Wildlife Trust. The day included a very interesting talk by Dr Nikki Gammans FRES of the Bumblebee Conservation Trust. The event was held at the Rare Breeds Centre at Woodchurch on Wednesday 2nd November 2016. A copy of the programme can be obtained from The Meadows Trust upon request. I would like to remind all dog walkers to ideally keep their dogs on lead for the safety of ALL users of the Meadows. In particular I would like all dog walkers to consider what is their dog doing when off the leash and out of sight. I have seen occasions when dogs are out of sight of their walker and they leave ‘deposits’ which are then not picked up due to the dog walker being unaware. Please consider that children and adults can walk off the mown walkways and that it is not very pleasant to find that you or your child has trodden in dog poo and not to mention the potential health hazards from direct skin contact. If anyone is interested in sponsoring a tree, then it would make a great Christmas present for a loved one, either one that has already been planted or to order one for next year, then please visit www.hollingbournemeadowstrust.co.uk or contact Peter Lee on 01622 880580. If you would like to be a ‘Friend of the Meadows’ and would like to support this asset which is for the whole community then please visit www.hollingbournemeadowstrust.co.uk or contact Peter Lee on 01622 880580. Director/Trustee & Ranger Benedict Williams attended the Kent Wildlife Trust’s “Wild About Gardens Awards 2016” at Canterbury College, where he was presented with a Silver Award on behalf of The Hollingbourne Meadows Trust Ltd. Work continues apace to improve the wildlife habitats and we hope to include a Permanent Water Habitat soon. 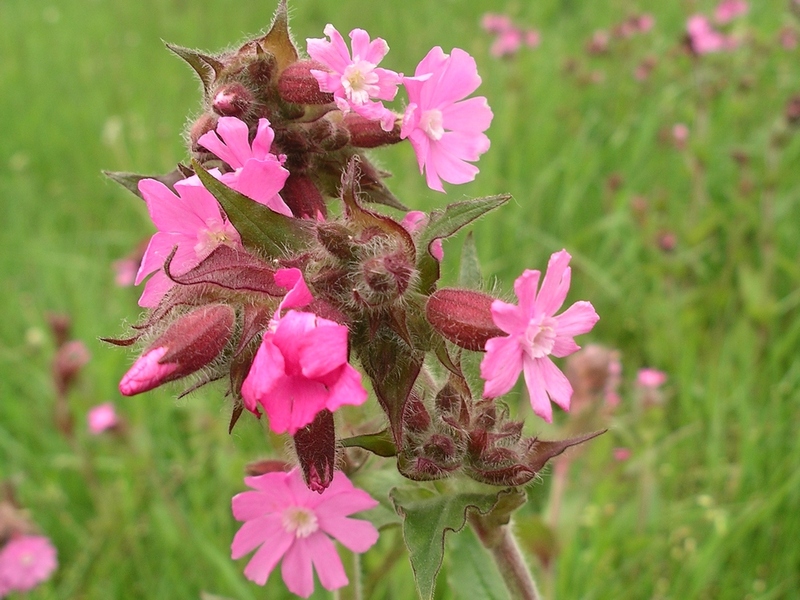 Additionally we would like visitors to the meadows to record their sightings of flora and fauna and include it on our Facebook page (Please send any photos). This would create a forum based interactive wildlife diary for all to enjoy. With autumn well progressed and winter fast approaching, it is a quiet time in the meadows as most of the vegetation becomes dormant due to the limited day light and lower temperatures. It is now that we can reflect on the time and effort put in by a great number of people during the spring and summer months to maintain the meadows for all to enjoy. The Meadows Trust are pleased to announce that the Trust is to receive an award at the Wild About Gardens 2016 Celebration Event. A letter has been received thanking for our participation and informing that the Meadows have a Silver award. Representatives of the Meadows Trust have been invited to the celebration event for the whole of Kent on Thursday 27th October in Canterbury. I am sure that you will wish to share with me in offering the congratulations to all of those involved in managing the Meadows. Many of you will have seen the new gate and sign board at Culpeper entrance (Pictured above right). Many positive comments have been received as the work progressed including a request to explain the design ethos, so here goes. First a galvanized farm gate was used to keep the connection with farming. The use of sleepers to make the frame of the sign board and the gate closing posts are to pay homage to the railway. Similarly the curved top of the posts is a nod to the brick railway arch. 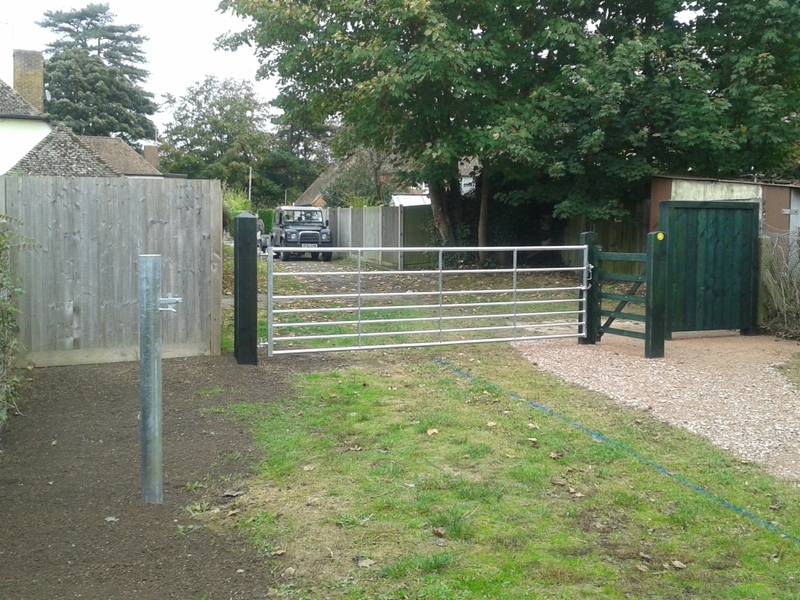 A gap for pedestrians was used in preference to a kissing gate, as it allows for easy wheelchair and pushchair access. It has been set at 1000mm wide which is the minimum legal requirement and is now considered to be the “gold standard”. It also has the added advantage of being silent. The wooden gate between the posts has the effect of slowing people and their dogs down. Finally the holly green stain is the Meadows Trust colour of choice and is widely used by wildlife organisations. The Trust have been asked if something similar will be created at the other entrances but as with all the improvement projects it will depend upon the availability of funds. I would like to remind all dog walkers to please keep their dogs under control, and preferably kept on a lead for the safety of ALL users of the Meadows. At the time of writing this article, we are experiencing the highest September temperatures for many years, and by the time you read this it will officially be autumn. 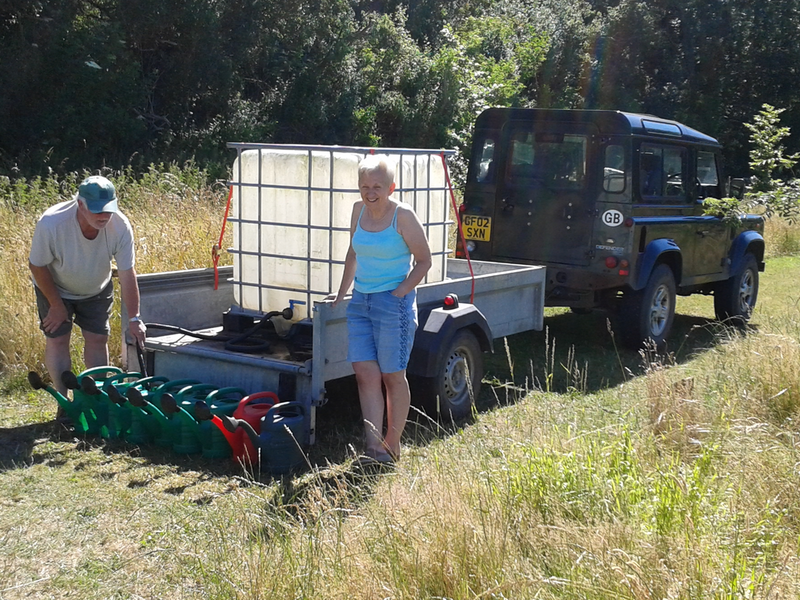 Due to the dry weather, up to the 5th September, approximately 22000 litres of water was used in watering all of the trees including the newly planted trees. On a very windy Saturday 20th August, The Meadows Trust held its first explorer trail starting and finishing in Culpeper Meadow. 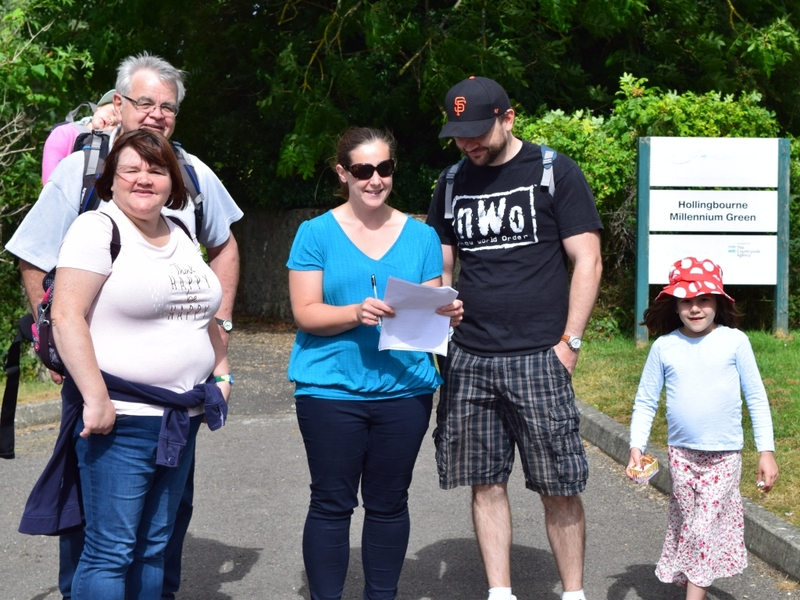 This consisted of groups or individuals of all ages who were given a sheet of clues, which took them around the village. Around 40 people took part and the event raised just under £86-00 for the Trust. Congratulations to the Suygart family (David, Lilah, Rachel, Ed, Maggie and Becky) of Culpeper Close, photographed outside of the Millennium Green, who were declared the winners although it was an extremely close run event, so much so, that the tie-break question had to be used and it was their answer to “What is your favourite spot in the Meadows?” that won them the accolade. The K9 Club members are dogs who enjoy exercising their owners in The Meadows. Dog owners are also admitted to membership, and agree that they will have their dog under control at all times, and will use the dog waste bins provided in The Meadows. The number of dog walkers using the meadows has increased but the income from the members has not. Despite having ‘Dog-Poo’ bins around the site, the quantity of poo not being picked up is increasing. For the health and enjoyment of others please ensure that all dog-poo is bagged and taken home or placed in the bins. In mid-August, it was reported that two dogs, which were off the lead, allegedly attacked another dog which was on the lead. This is serious as it could easily have led to not only injury to the dog or its owner, but also anyone else that was present. In the light of fatalities in Essex, etc., involving children, we ask all dog walkers to please keep their dogs under control, and preferably kept on a lead for the safety of ALL users of the Meadows. If anyone is interested in sponsoring a tree, either one that has already been planted or to order one for next year, then please click here. Or alternatively, contact Peter Lee on 01622 880580. If you would like to be a ‘Friend of the Meadows’ and would like to support this asset which is for the whole community then please click here. Or alternatively, contact Peter Lee on 01622 880580. The weather in August turned out to be very good and in particular for the harvesting of the cereal crops. Life in the Meadows is a quiet period between summer and the onset of autumn. The school holidays are also a good opportunity for the children to explore the Meadows Trust land. 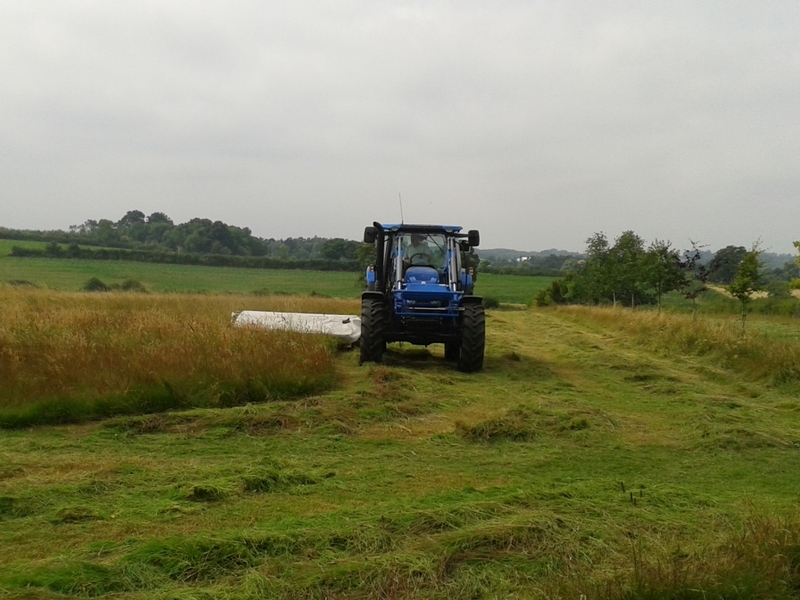 All the meadows were cut for hay on the 20th of July and this was baled and taken off-site. Unfortunately the dog waste bin in Windmill Meadow was struck by a trailer carrying hay bales and has been temporarily removed for repair. It will be restored to its original location shortly. An instance of anti-social behaviour has been reported in the Meadows on the 11th of August, when a miniature motor bike was seen abusing the facility. As this is not permitted and unsafe, the Meadows Trust would appreciate it if someone knows who they are, please could they ask them to desist from riding the machine illegally and anti-socially? This includes public roads, public footpaths and obviously the meadows? In the parish there are over 400 properties and if 350 of those gave only £2 per week (or 14 pence for each dog walk) then the Meadows trust would be financially secure. If you would like to be a ‘Friend of the Meadows’ and would like to support this asset which is for the whole community, then please click here. 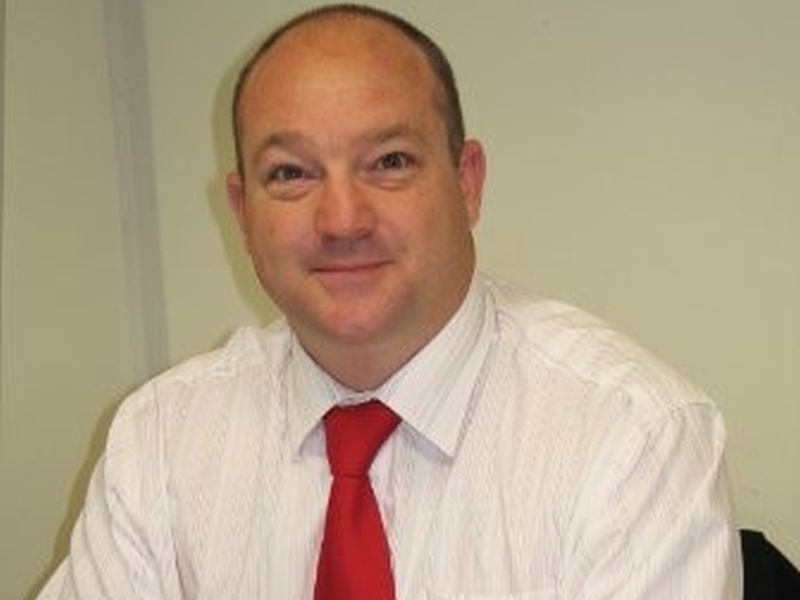 Or alternatively, contact Peter Lee on 01622 880580. The school holidays are now in full swing and hopefully we are enjoying some good summer weather and this is a good opportunity for the children to explore the Meadows Trust land. Bee (Ophrys apifera) & Pyramidal orchids (Anacamptis pyramidalis) have been seen growing in Eyhorne Meadow. This is a good indication that the management strategy employed over the last 8 years is working. Accompanying these orchids you will be able to find; Ox-eye Daisy (Leucanthemum vulgare) & Teasel (Dipsacus fullonum) to name but a few. As part of the management strategy, Eyhorne meadow will soon be grazed by around 50 sheep to remove the bio-mass and this will help in maintaining the condition of the soil. Meanwhile in Culpeper meadow, you may have noticed under the celebration trees, the flowering of “herbal understory mixture” which was sown last year. This legume based, nitrogen fixing mixture provides useful ground cover for under trees. 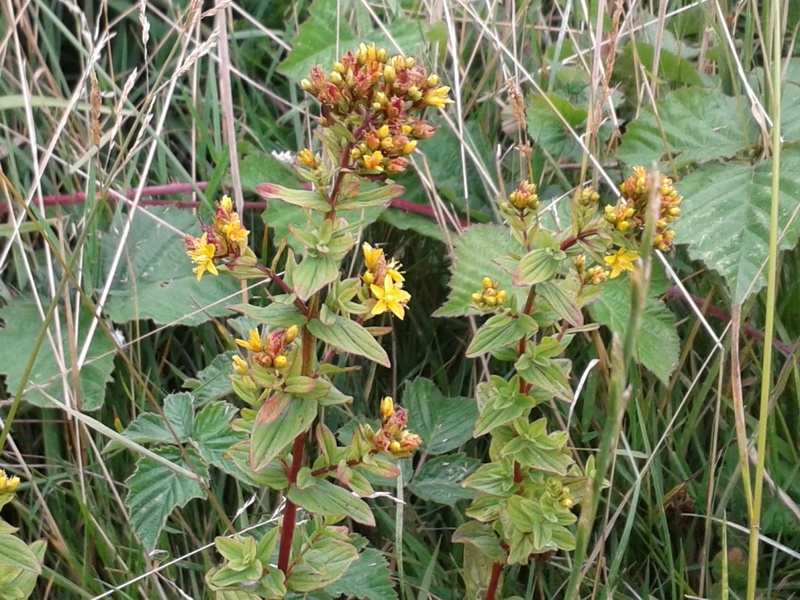 The mixture will flower from early May onwards. This attracts pollinators and beneficial predatory insects. So, if you are sponsoring one of the celebration trees, please refrain from weeding these plants out. They are there for a good reason! As a result of last month’s article regarding tree irrigation, an as yet anonymous person has made a generous donation for the purchase of a trailer/bowser. This will soon be put to good use and will be employed in the meadows. A new method of mulching is being trialled in Windmill Coppice. Cut grass which had previously been left in rows to rot, has been raked neatly around the base of each tree. So far the results have been promising. The grass mulch is suppressing weed growth, whilst helping to retain the soils moisture. Eventually this will rot and be absorbed into the ground, increasing fertility. 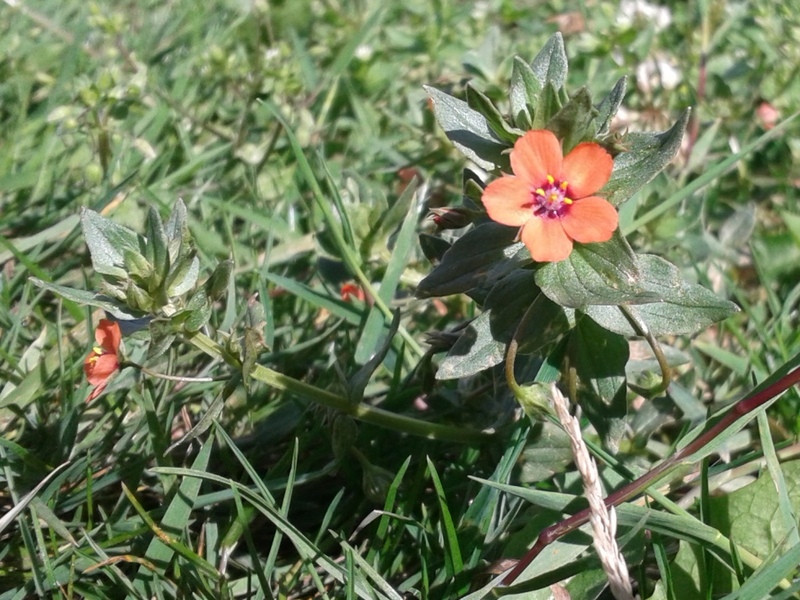 Now that we are into summer, the plants that can be found in the meadows during July are: Great Willowherb (Epilobium hirsutum), Hedge Bindweed (Calystegia sepium), Scarlet Pimpernel (Anagallis arvensis), St. Johns Wort (Hypericum perforatum) and Tufted Vetch (Vicia cracca). 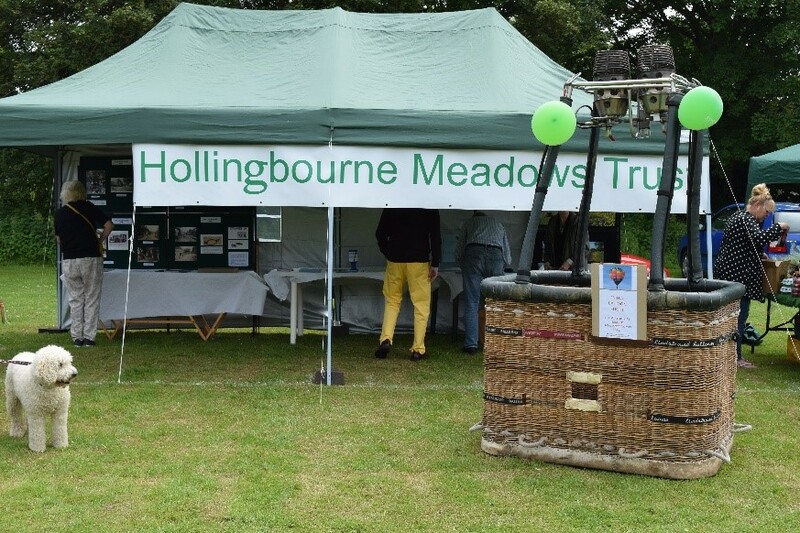 As you may have seen, The Meadows Trust were actively involved Hollingbourne Fete in June in not only setting up and managing the Trust’s stall but also managing the car parking. The Trust would like to take this opportunity to thank Maureen Lee, Linda Cardwell, Ivor Tapsfield, Allan Smedley, Sam Booth, Andy Deacon, and Ian Willy for their valued assistance and a total, including Gift Aid, of £450 was raised through this event which is sufficient to buy a new set of blades for the Trimax mower. 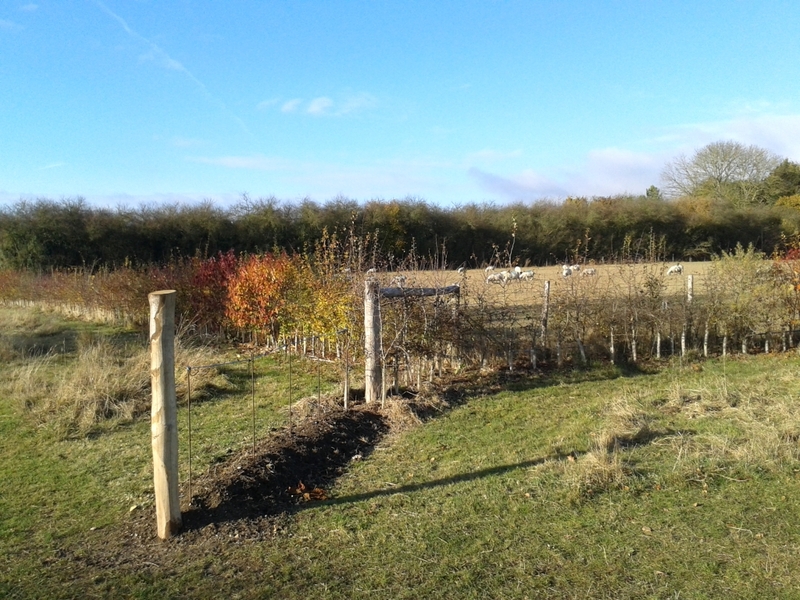 The tree guard change out in Windmill Coppice was completed on schedule. 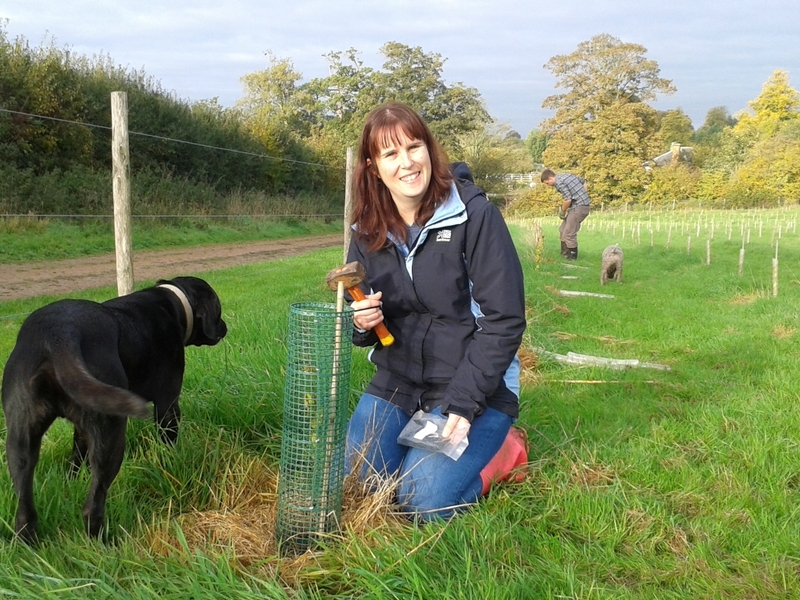 All of the trees are now rabbit proof and are responding well to their improved environment. The newly planted hedge between Culpeper and Flower meadows has unfortunately been attacked by rabbits so the tree guarding will have to be upgraded. The watering of the recently planted trees will restart soon and volunteers are needed and most welcome. Newly planted trees ideally require watering with 30 litres on 20 occasions during the growing season for the first two years. That is equivalent to 600kg of water for each tree per season. With 22 new trees this year and 40 trees planted last year that's 13.2 tons of water that the volunteers will need carry this summer. 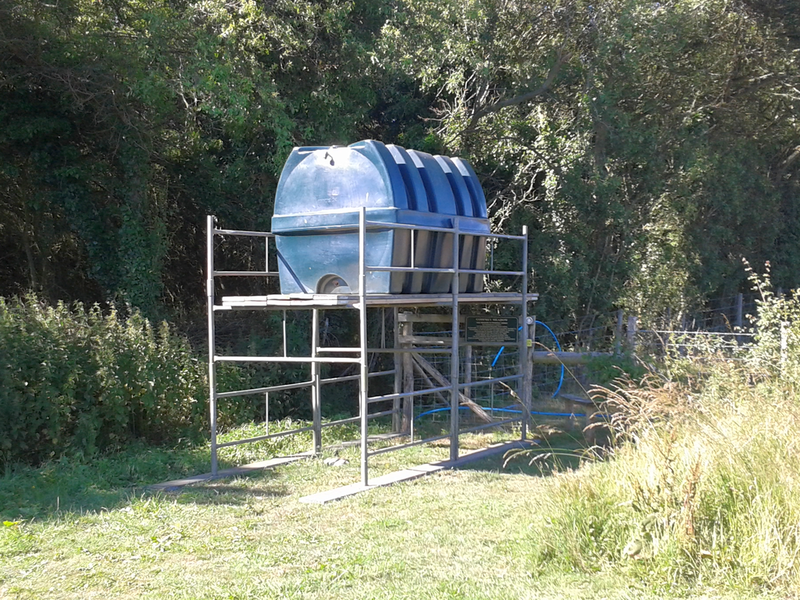 When funds allow the trust would like to buy a water bowser which will reduce the amount of water that needs to be carried and make the whole task more efficient and less labour intensive. As Spring moves towards Summer and occasionally back towards Winter, the small group of Meadows volunteers have been busy like the wildlife appearing from hibernation and rearing their young. Eight buzzards were reported recently seen at the same time over the Meadows which was quite a spectacle! 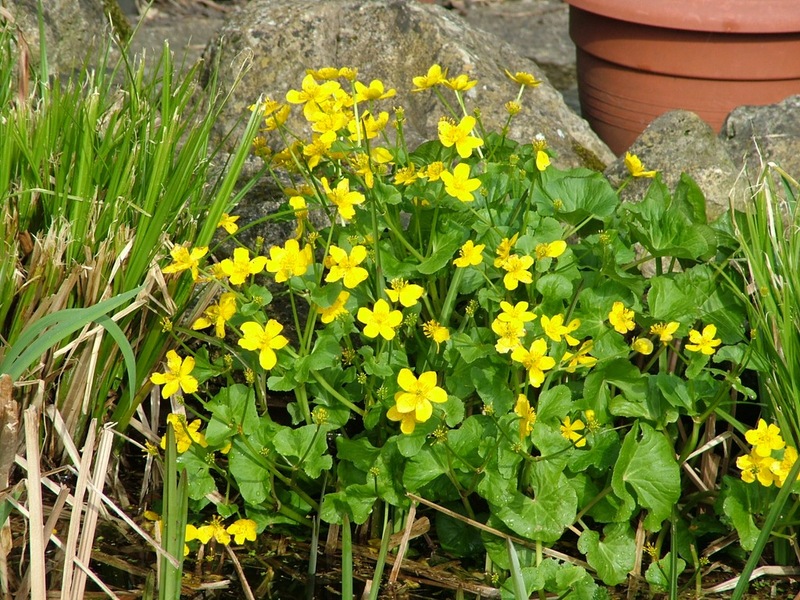 Due to the cold spring, what flowers would normally have bloomed in April can probably still be found and should include Cowslip (Primula verisLesser), Celandine (Ranunculus ficaria), Cuckoo Flower (Cardamine pratensis) and Marsh Marigold (Caltha palustris). 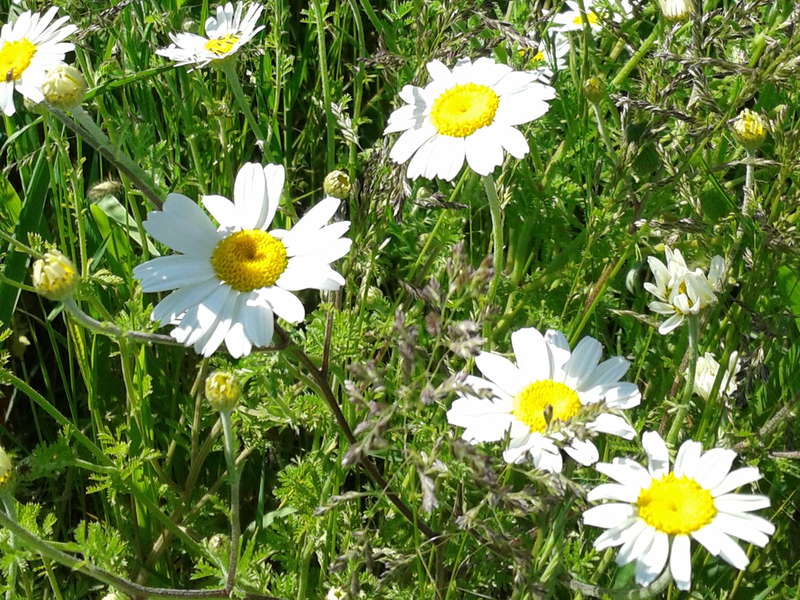 During May Daisy (Leucanthemum vulgare), Red Campion (Silene dioica) and Meadow Buttercup (Ranunculus acris) should be seen. The season for planting trees has just finished with 22 native Celebration trees having been planted during March/April. These are proving extremely popular with only 8 of the planted trees remaining for sponsorship. Interested in sponsoring a tree then please click here. Or contact Peter Lee on 01622 880580. Open mesh tree guards are being manufactured to replace 600+ spiral tree guards within Windmill Coppice. These new guards provide the tree with greater protection, more light and more space for growth. It is hoped that the transition from old to new guards will be completed by the end of May. Hollingbourne resident, Chris Childs donated 50 Purple Beech hedging plants to the Trust. These plants have been used to repair the gaps within the hedges throughout the site and this has enabled the completion of a significant part of one of the jobs on our ‘to do’ list. For your diaries is the Meadows Trust Annual General Meeting which is to be held on Friday 17th June 2016 commencing at 7.30pm. It is planned to be held in the Trust’s marquee positioned in the Meadows, near to the Culpeper entrance but should the weather be unsuitable then the AGM will be held in the village hall. Please check the Parish Council website for any updates. 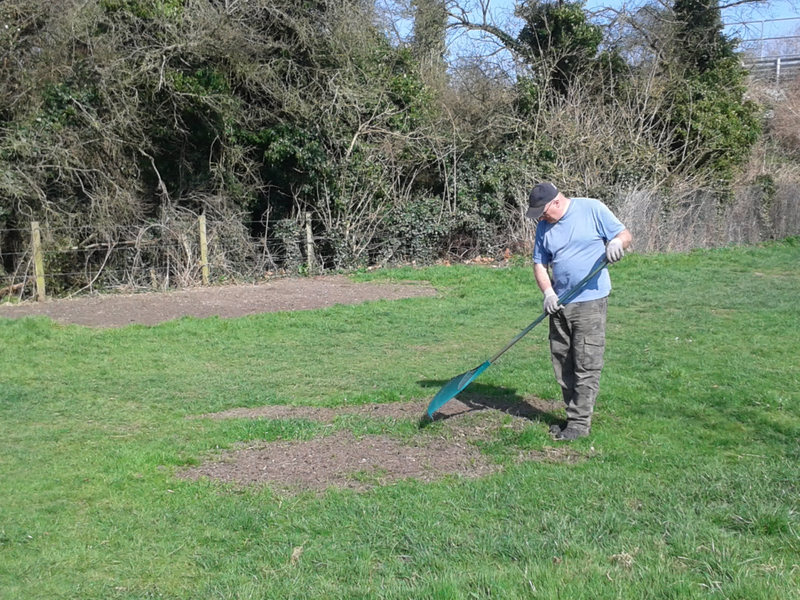 On Saturday, a new Meadows volunteer, Keith Pockett (Pictured), joined a small group of people in Windmill Copse. Keith helped replace over one hundred tree guards. The replacement program started in October last year and is scheduled for completion by the end of May. It is the Trust’s aim to replace all the closed spiral guards with an open mesh type. This will provide the trees with more light and space and should encourage stronger growth. A big thanks to Chris Childs (who lives in the village), for donating fifty Purple Beech hedging plants to the Trust. The majority of the plants were used to repair the hedge between Culpeper and Flower Meadow. The hedge repair is on the Trust’s priority “to do” list. With Chris’s help we have managed to fulfil a large part of the project. 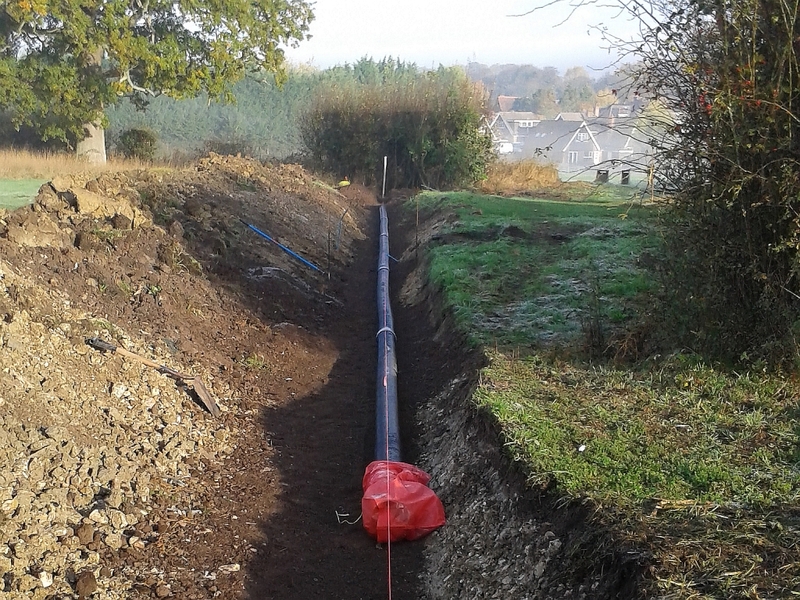 The project also required the stabilisation of the drainage ditch bank. Pictured is Ben driving in wooden piles to prevent the repair from sliding back into the ditch. These stakes are intended to be a temporary measure. 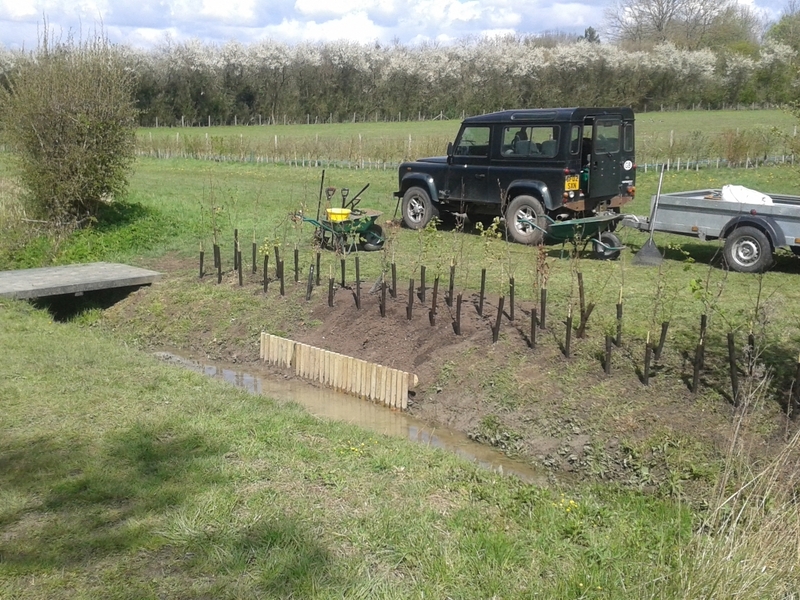 The second picture shows the completed first section of hedging. 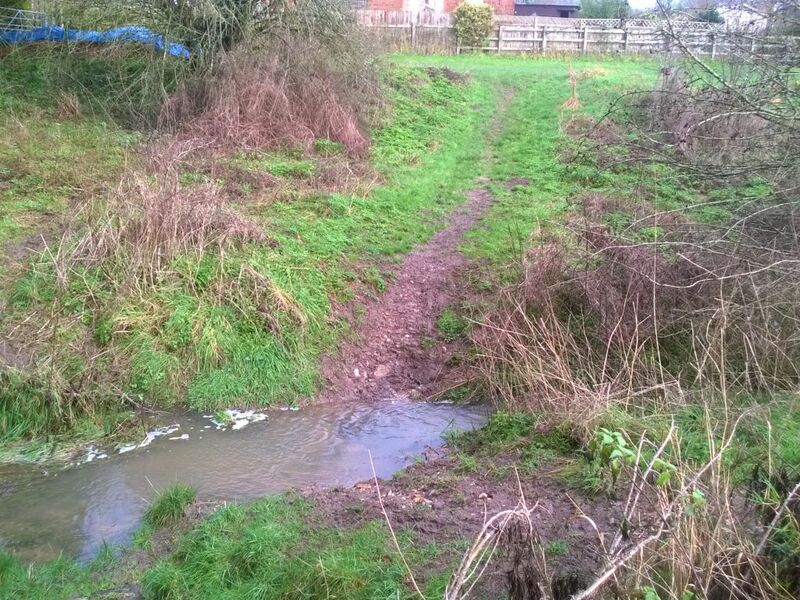 This has a temporary fence surrounding it to discourage dogs from jumping in the muddy ditch and damaging the plants. 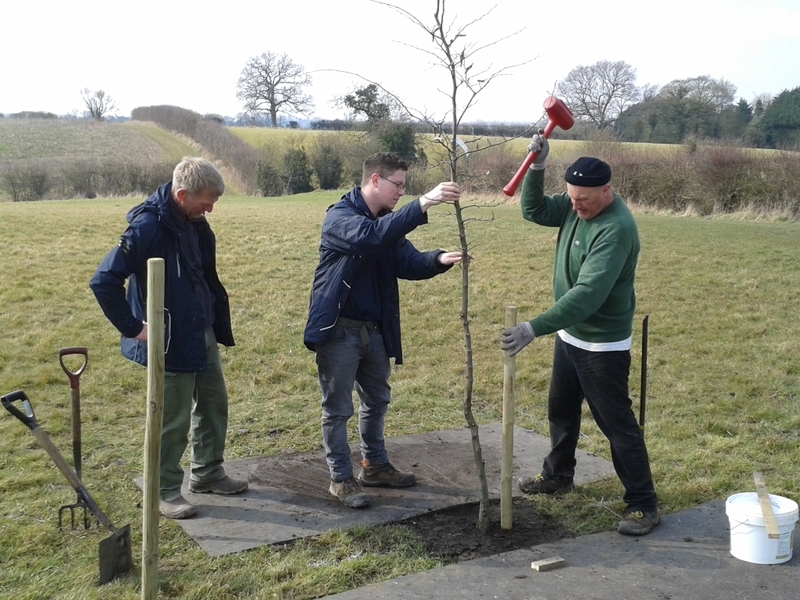 On Thursday there was a formal planting of a Hornbeam tree in Flower Meadow by Matt Mordaunt of The Conservation Volunteers (TCV). This was to celebrate the completion of a five year multi million pound Kent Heritage Tree Project. 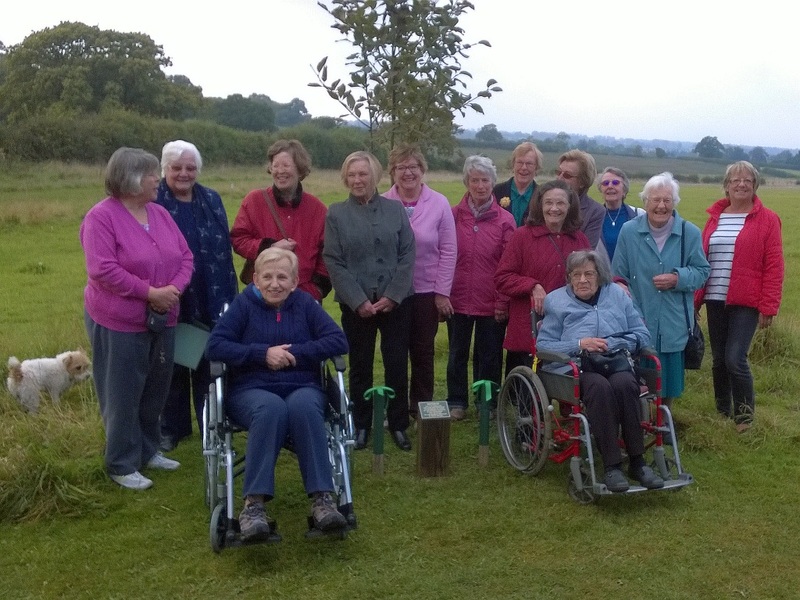 The Meadows Trust feels extremely privileged to have been one of a small group, chosen to receive one of these special Heritage trees. Pictured is Ben Williams driving in the first of two supporting stakes. 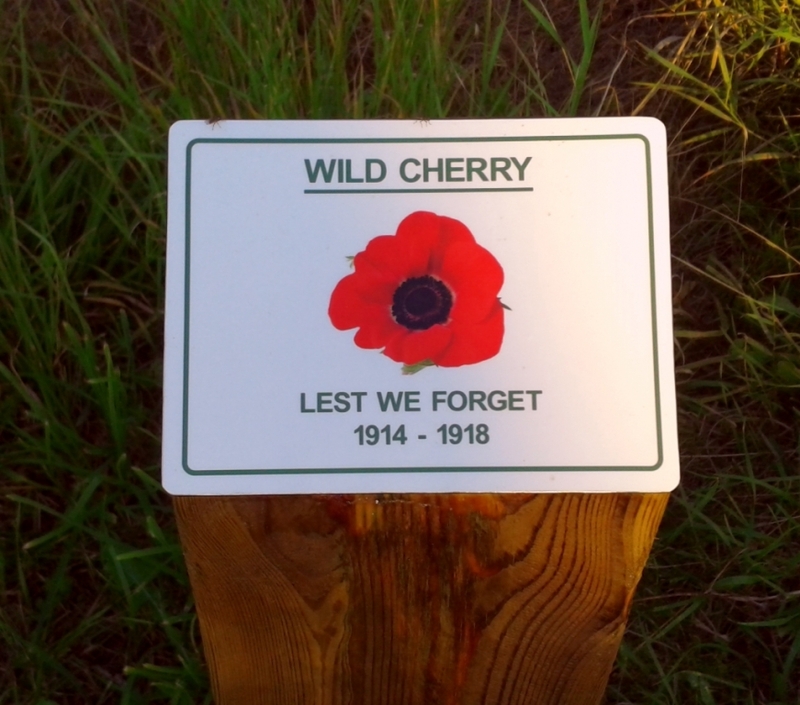 The second picture is of the temporary plaque mounted in front of the tree. 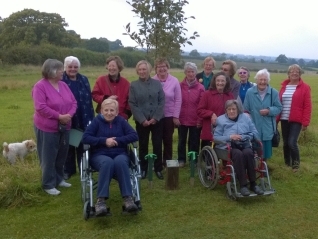 Tuesday saw the start of a project to plant 22 Celebration Trees in the Meadows. Eighteen new trees, plus one replacement, were planted in Culpeper Meadow. The other three being planted in Flower Meadow, which consisted of one new, one replacement and one Heritage tree on behalf The Kent Heritage Tree Project. In the first picture, Allan Smedley watches on as Ben digs the first hole. The second picture has Jack Wilson (Plus Pablo!) 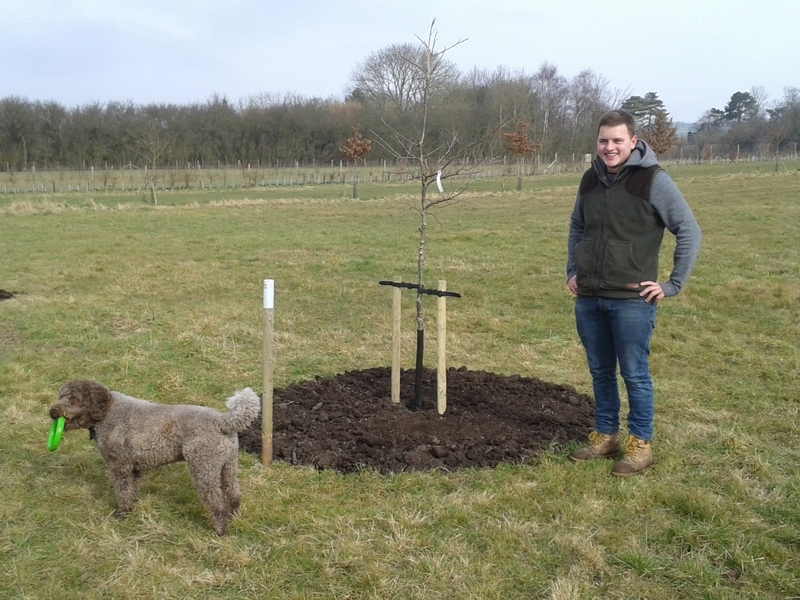 next to a newly planted Pedunculate Oak. Please click here if you are interested in sponsoring one of these newly planted trees. Last Saturday (12th March) the final section of the dead hedge in Windmill Meadow was installed by volunteers. Dead hedges are very useful in habitat conservation and restoration ecology. They offer safe shelter for small animals, particularly birds and other small vertebrates. The hedge will rot over time, but in a way that is good for ecosystems. This will take quite a few years as most of the branches are clear from the ground. 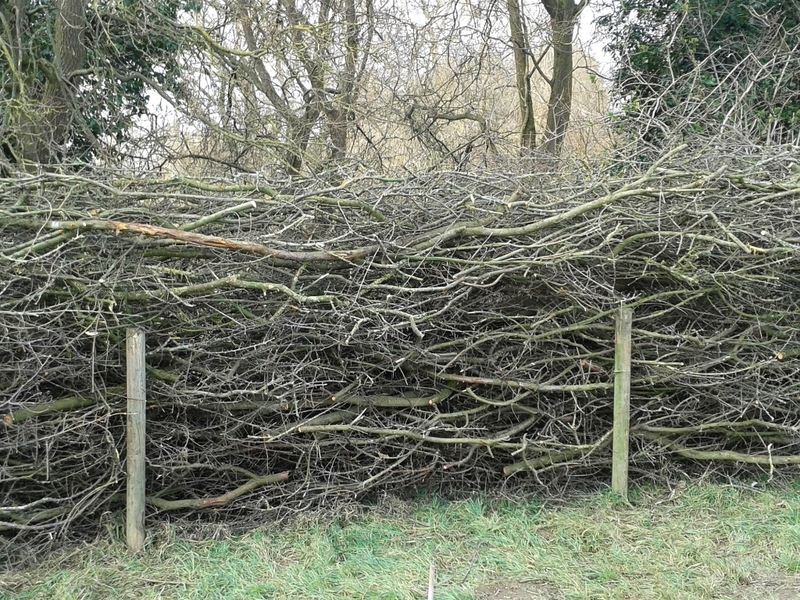 This particular hedge has been (painfully) constructed from Blackthorn, coppiced nearby & is approximately 2m high & 1m deep. 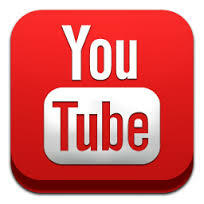 On Thursday, the Trust launched its YouTube Channel. Currently there are two videos available for viewing. A time-lapse of the construction of one of our habitat piles in Flower Meadow and how the Atlas Mountain Cedar bench (Installed in Culpeper Meadow) was made. Additional videos will appear shortly. 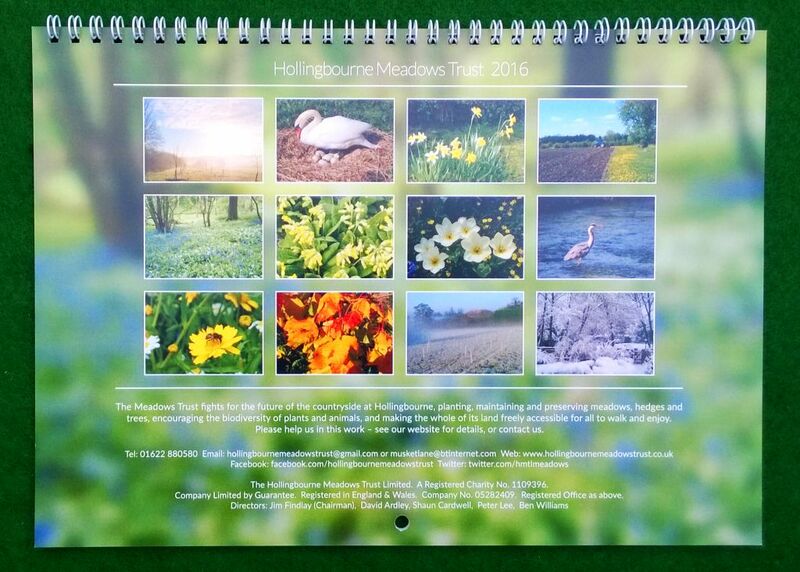 2016 Meadows Trust Calendars are now available for purchase. The calendar features pictures taken within the Meadows, as well as from the surrounding area. All the contributing photographers have a connection with Hollingbourne. All profits will go to the Trust and help with the preservation of the Meadows. The coppice in Windmill Meadow was planted by the Hollingbourne Meadows Trust in November 2013, with the help of The Conservation Volunteers. In the region of 600 Small Leafed Limes, Hazel and Hornbeam trees were planted. Although to date, the vast majority have survived, the overall growth has been somewhat disappointing, with most of the plants failing to break clear from the top of their tree guards. The original aim was to coppice the trees in about 16 to 18 years time, this is now looking highly unlikely. The Meadows Trust has some beautiful greetings/correspondence cards for sale in Christopher’s shop. These are photographs taken in The Meadows. Please do have a look next time you visit the shop. 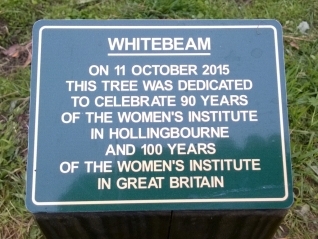 On Sunday morning, members of the Hollingbourne Women’s Institute unveiled a plaque dedicating a Whitebeam celebration tree in Culpeper Meadow. The unveiling was to commemorate ninety years of the W.I. in Hollingbourne and one hundred years for the institute as a whole. After the WI’s anthem (Jerusalem), Janice Butler (President) opened the ceremony with a brief history of how the Institute started in the village. This was followed by Jean Talboys cutting a ribbon and unveiling the plaque. 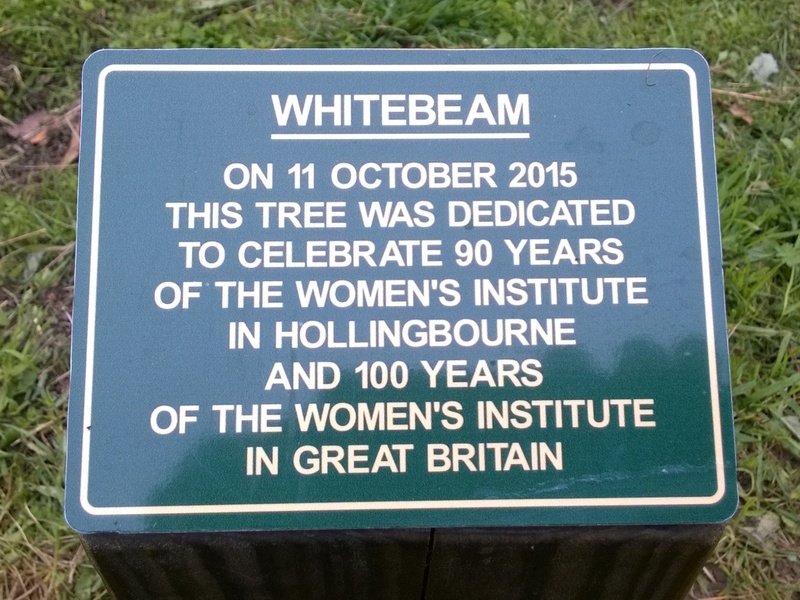 More information and pictures can be found on the Hollingbourne WI’s website. Planning is underway for the possible provision of additional celebration trees. This will be totally dependent on funding. 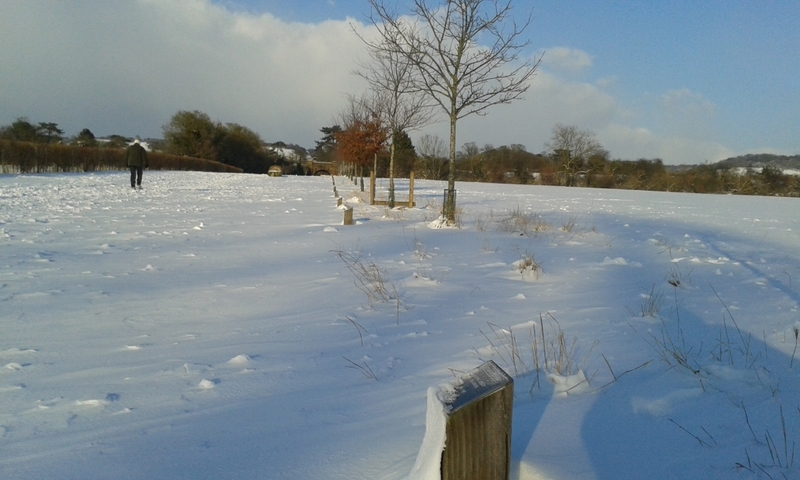 A survey in Culpeper Meadow has taken place and wooden stakes placed where it would be suitable to plant new trees. Hopefully, this will be a satisfactory explanation for those wondering the purpose of these “numbered markers”, and dispel any rumours of a pending “caravan site”!!! And for those interested, the yellow painted stakes depict where future gates may be installed. These will only be provided if there is agreement to split Culpeper Meadow into two fields for the purpose of grazing. More information will be provided at the forthcoming AGM.. . The new crossing between Culpeper Meadow and the Flower Meadow has been temporarily closed for approximately three weeks. 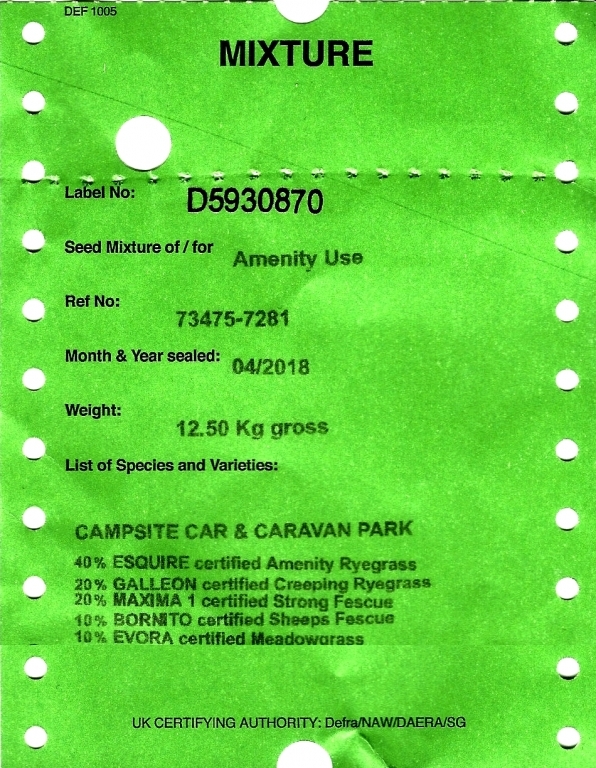 This will allow time for the newly sown grass seed to establish and help stabilise the loose topsoil. It is intended later in the year to fill the gap between the existing hedgerow and the bridge with new Hawthorne plants. 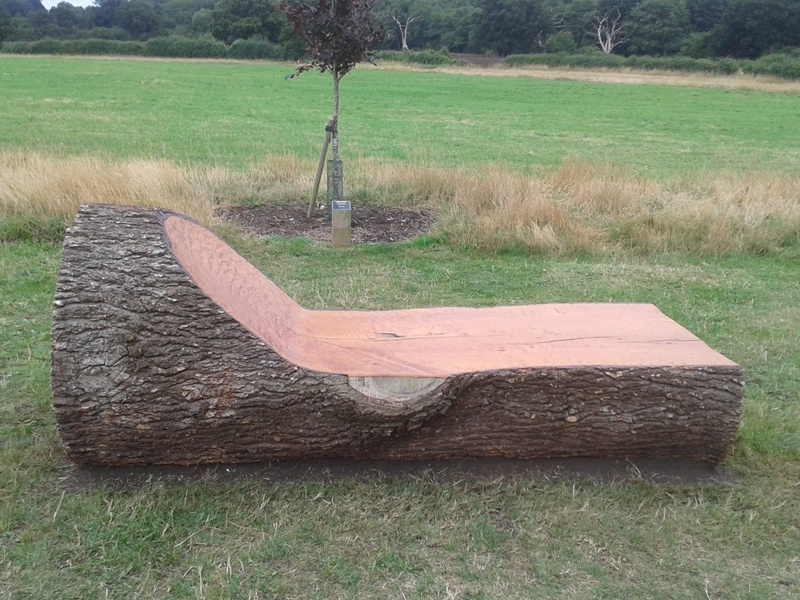 The new bench created from a felled Atlas Mountain Cedar in Ben’s garden has finally been transferred to site and installed in Culpeper Meadow. The three quarter ton bench was transported by tractor secured on the fore-loader. Installation was in a shallow trench, dug a couple of days previously, midway between the two existing benches, adjacent to Godfrey Meadow. The seat/lounger was designed to accommodate eight or nine seated people, or if they wish, one reclined person (cushion not supplied!). The Trusts AGM will be held in the Village Hall on Friday the 4th of September at 7pm. 1. Consideration and approval of the Accounts for 2014. 2. Re-election of Directors (all three current Directors retire at the Annual General Meeting, and offer themselves for re-election). 3. Consideration of the proposed appointment of additional Directors. Informally, there will be a review of activities over the past twelve months, and of future plans. Members’ opinions and feedback will be welcomed, and all are invited to enjoy a glass or two of wine (or soft drink) and to let us have your views. 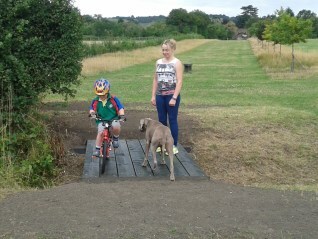 A new pedestrian crossing has been installed between Culpeper Meadow and Flower Meadow. The installation traverses a drainage channel which runs between the two meadows and although generally dry through the summer does carry water during winter months. The bridge was designed to blend in with the rural landscape and was manufactured off site by Benedict Williams. It is the start of an ongoing program to improve access to the Meadows. The bridge is constructed from sturdy Larch wood sleepers and was assembled and installed on site over two days by Ben and Malcolm Smith. 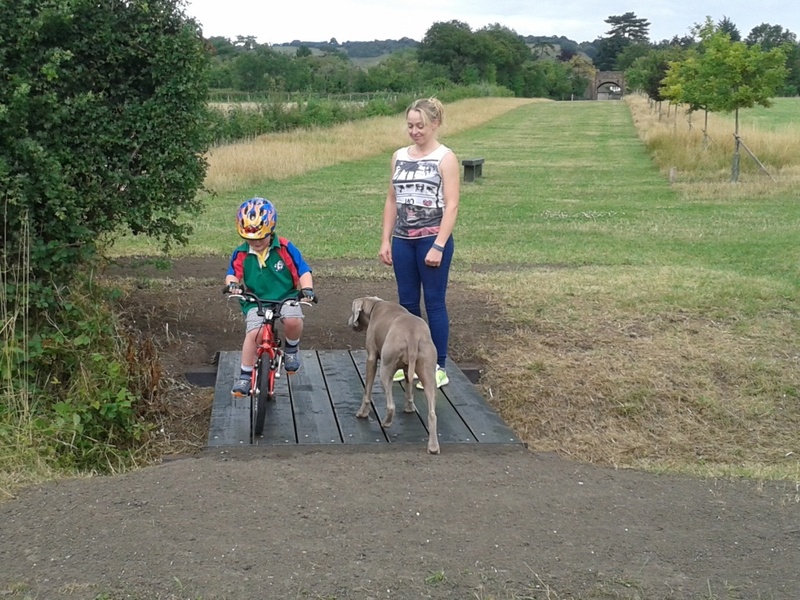 Pictured is Frankie Murphy who runs the Eyhorne Osteopathic Clinic and her son (Edward) together with their dog who were the first people to use the crossing. 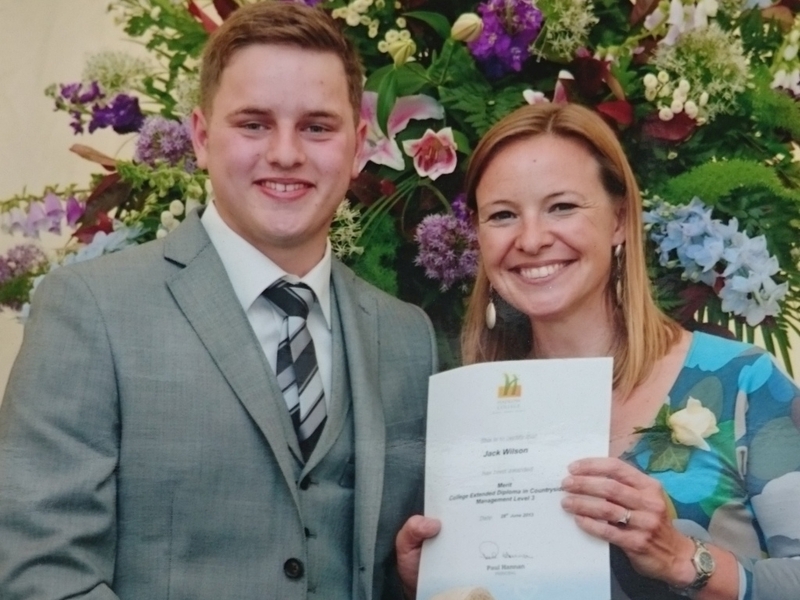 Pictured is Jack Wilson being presented with his Level 3 Extended Diploma certificate in Countryside Management from Miranda Krestovnikoff (Presenter on the BBC2 series Coast). Jack achieved a merit. He is currently studying for a foundation degree in Countryside and Conservation Management at Hadlow College. Jack intends to continue with his work placement with the Trust, where he can be seen a couple of days a week working and gaining experience in the Meadows. The picture far right is Jack watering one of the seventy plus newly planted trees. 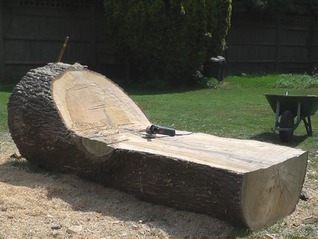 On Saturday the creation of a new bench from a felled storm damaged Atlas Mountain Cedar started. Ben discovered the trunk, which is in his garden, was too small to convert to lumber and yet too good to use as fire wood, so he decided to construct something useful from it. The bench, when finished, will be installed between the two new benches in Culpeper Meadow, adjacent to Godfrey Meadow. Controlling the weeds the hard way in Eyhorne Meadow. Pictured is Shaun Cardwell using a sythe to cut down weeds, mostly Creeping Thistle (Cirsium arvense), Ragwort (Jacobaea vulgaris) and Broad-Leaved Dock (Rumex obtusifolius). 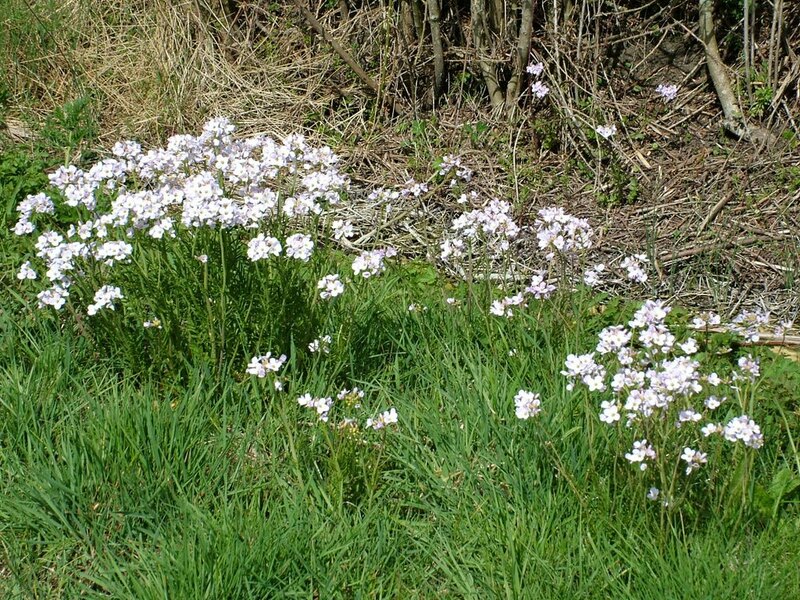 The aim is to prevent these plants from laying down seed, so eventually they disappear from the meadow. This will allow the beneficial meadow flowers to flourish and propagate. Towards the end of the season the whole meadow will be mown. Currently there are no trees available for sponsorship. However, if you are still interested, please contact Peter Lee or Benedict Williams, as it may be possible to reserve a tree in future planting schemes. The summer ritual of watering the newly planted trees commenced in earnest on Tuesday. 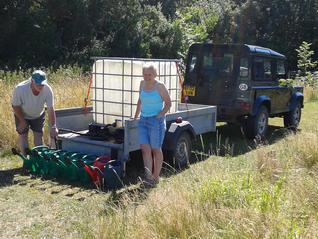 Ben and Allan started watering early morning and Adriana joined in the latter stages. 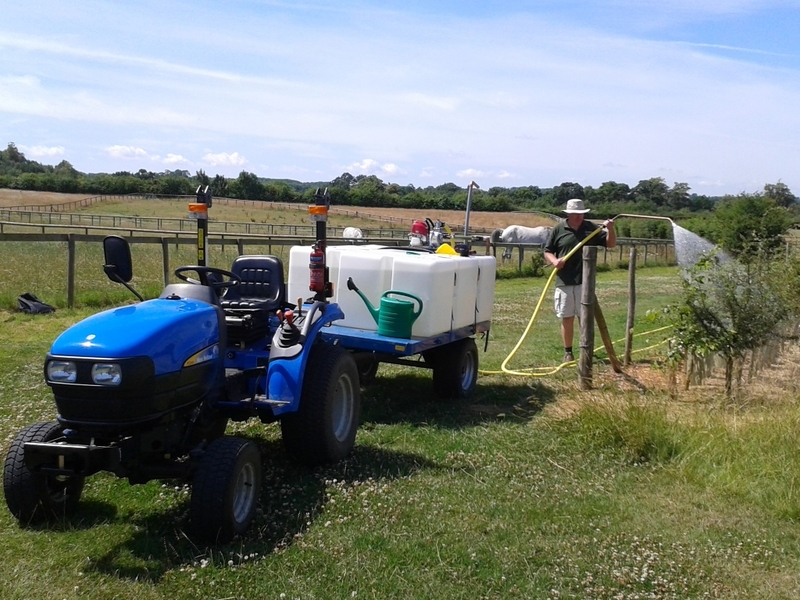 A 1,000 litre tank installed on the back of a trailer acts as a bowser for transporting the water around the meadows. This is then offloaded into watering cans, each tree receiving at least 40 litres (approx 9 gallons) of water. Filling the bowser from the mains takes a considerable amount of time. 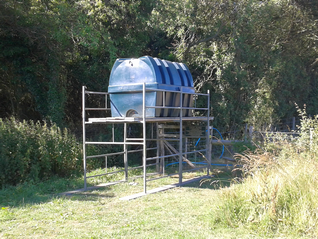 To speed this process up a temporary 2,500 litre storage tank has been installed adjacent to Godfrey Meadow. On Monday work continued with the making safe of the Ash tree (Fraxinus excelsior) that fell in May last year. The tree had been monitored closely over the last 5 years due to a known split in its trunk. When it was noticed that the split had suddenly widened, a decision was made to make it safe, as it was adjacent to a public footpath. It was while arrangements were being made to have it professionally felled, it collapsed on its own accord. It was suggested the tree was left in situ for the benefit of wildlife, but it was deemed too unstable, hence the decision to remove it completely. 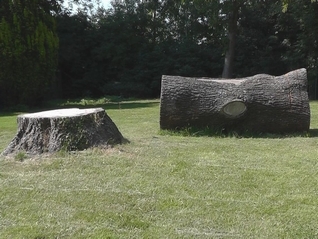 It is intended to remove all of the fallen tree and just leave what remains of the substantial stump for wildlife. The area will be re-planted with trees. Pictured is Jack Wilson (wearing the correct safety equipment!) removing the upper branches from the fallen tree. Just one tree (No: 51) remains available for sponsorship. The tree, which is a Wild Service Tree (Sorbus torminalis), is situated at the end of the tree avenue, in the far top corner of Culpeper Meadow. The Wild Service tree was once common in the forests of England and Wales. But as these were cleared, it became rarer and is now confined to ancient woodlands and hedges, such as those of royal hunting forests. 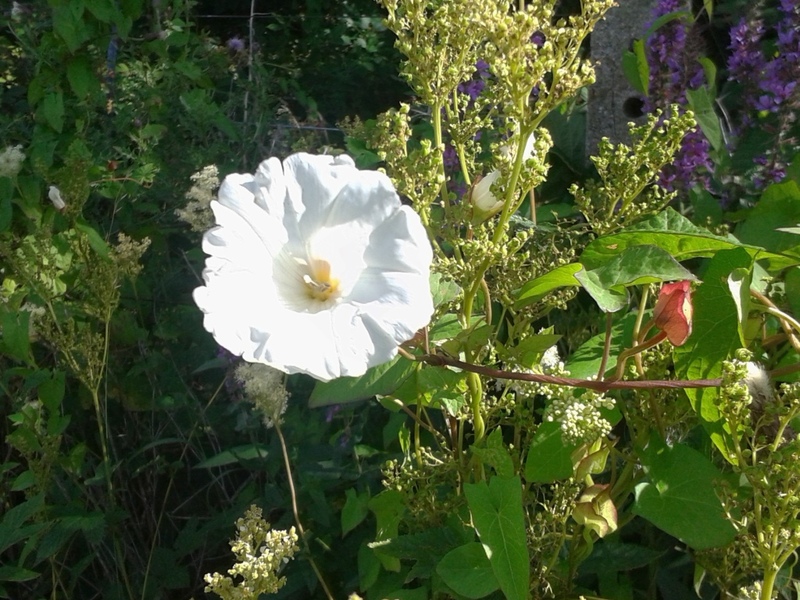 Inconspicuous for much of the year, their white blossom in spring and crimson leaves in autumn give them away. The trees can be recognised by their jagged, palmate leaves (a little like Maple leaves), white flowers and small, apple-like fruit. If you would like to sponsor this tree, please contact Benedict Williams or Peter Lee. Alternatively, sponsorship can be requested on line. Please use the following link: Sponsor a Tree. 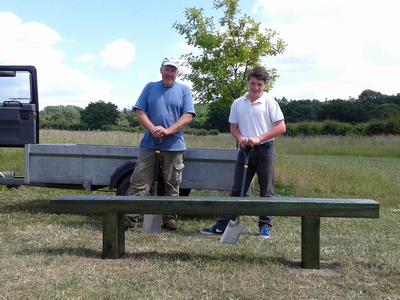 On Saturday another wooden bench was installed in Culpeper Meadow, bringing the total to three. The benches were designed and built by Benedict Williams, the latter two being installed with the assistance of volunteers. The benches which are constructed from Larch wood, have been installed to a depth of 1 metre and are designed to be robust, with a plain and simple appearance so as to blend in with the rural landscape. Pictured to the right and standing behind the completed bench are Ben Williams (left) and volunteer Shaun Robinson. Two other volunteers also assisted in the 6 hour installation, Allan Smedley and Malcolm Smith. 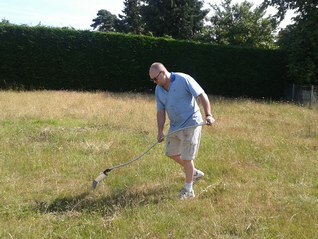 Today (15th May 2015) we had another visit from an unauthorised person metal detecting and digging in the flower Meadow. The person had long dreadlocks, well below shoulder length, and was well built. He was asked to leave the Meadows and drove off in a small Volkswagen panel van, white or light grey in colour, registration Y626BAN. He claimed to be a member of Medway History Finders, and said that he and four other club members had written permission to detect. He was unable to produce this permission. The Chairman and Secretary of Medway History Finders were contacted and they confirmed the individual was not a club member. The Chairman of the club will be passing the person’s description and vehicle registration number onto the police. If you see the vehicle parked in Hollingbourne, or see a stranger detecting in the Meadows, please contact Ben Williams or Peter Lee. On 8th and 9th May, the St George’s Players celebrated 70 years since VE Day by performing their “Wartime Revue” in Hollingbourne Village Hall. The event was a sell-out on both evenings. The enthusiastic audiences enjoyed songs, sketches, comedy impersonations, moving wartime poetry, Churchillian sayings, and wartime events in Hollingbourne, before finally obeying the instructions to “Keep Calm and Sing Loudly” in a grand finale including “I Vow to Thee my Country”, “There’ll Always be an England”, “Jerusalem” and “Land of Hope and Glory”. All those involved, whether as performers or behind the scenes, put on a wonderful performance, and celebrated the courage, resilience and, above all, the sense of humour of the British people. All profits from the show will be split equally between the Royal British Legion and Hollingbourne Meadows Trust. A warm welcome to all visitors to the Meadows Trust website. We hope you have already visited the Meadows, but if not, try to find the time. The Galleries will give you an impression, but not as fine as the real thing, on a sunny day, with the bees buzzing, and the birds singing and foraging in the grass, the hedgerows and the trees. We are preserving the Meadows and their wildlife for you, so try to get there and enjoy.